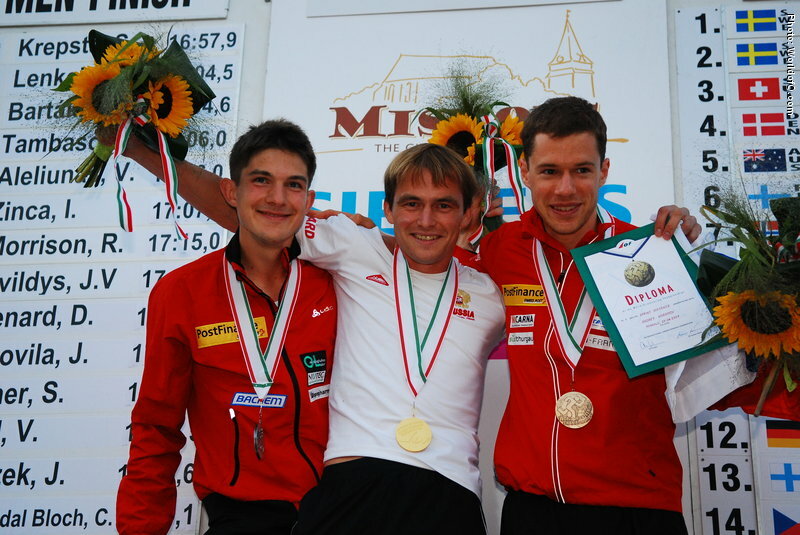 Winning a gold medal in 6 World Championships in a row between 2005 and 2010 - Long, Relay, Relay, Sprint, Sprint and Relay. 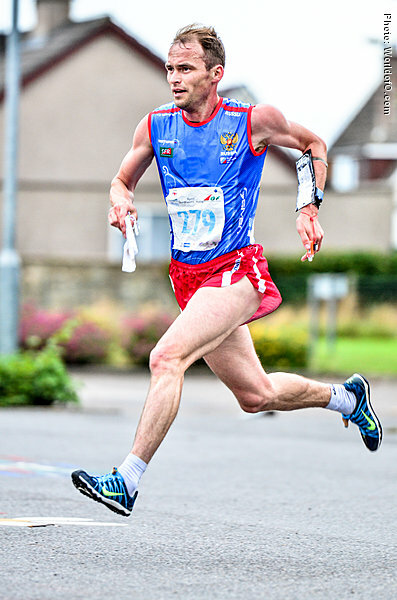 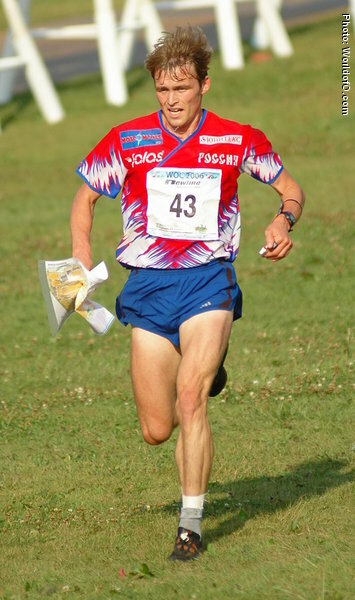 Strong Russian runner who surprised everybody by winning JWOC in Bulgaria as a 18-year old in 1999. 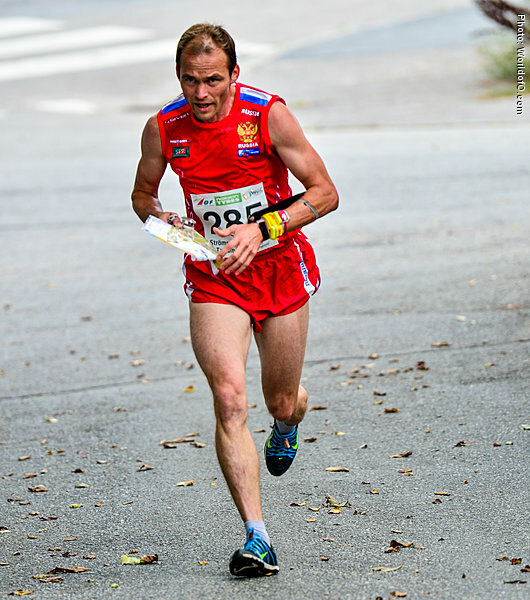 Lives at the foot of the Kaukasus mountains, not far away form the Black sea. 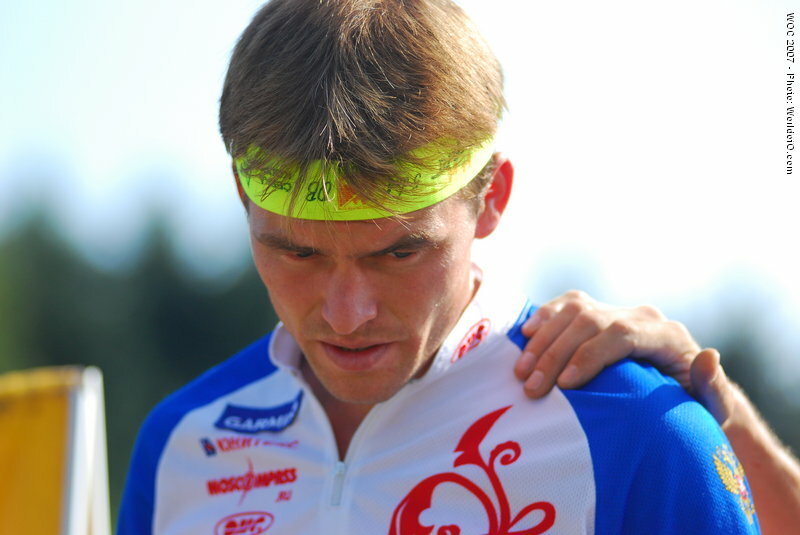 Well used to hot and humid conditions and tough climbs. 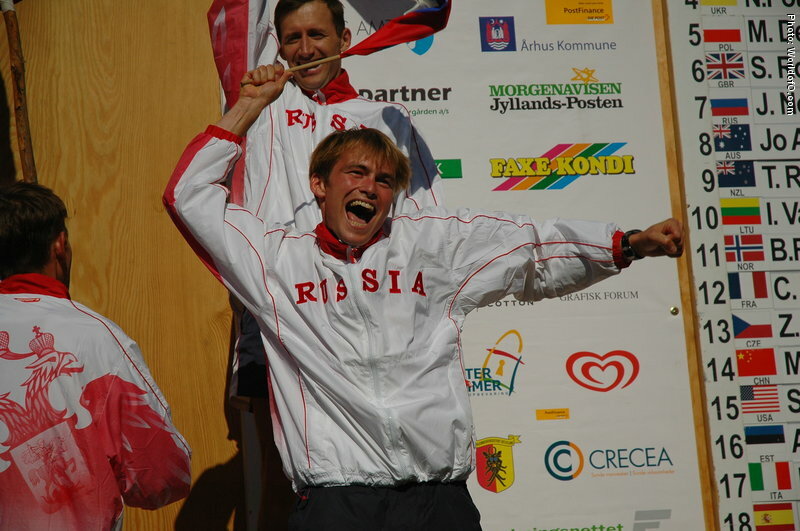 Married to Nadia and has a son, Alexander, born 2002 and daughter,Varvara, born 2011. 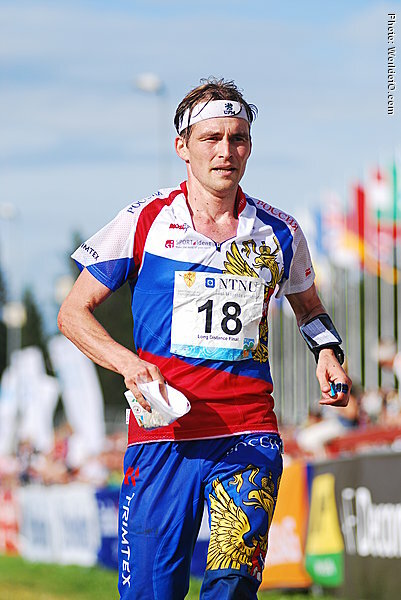 Competes in track and field regularly, his PB on 5000m is 14.05. 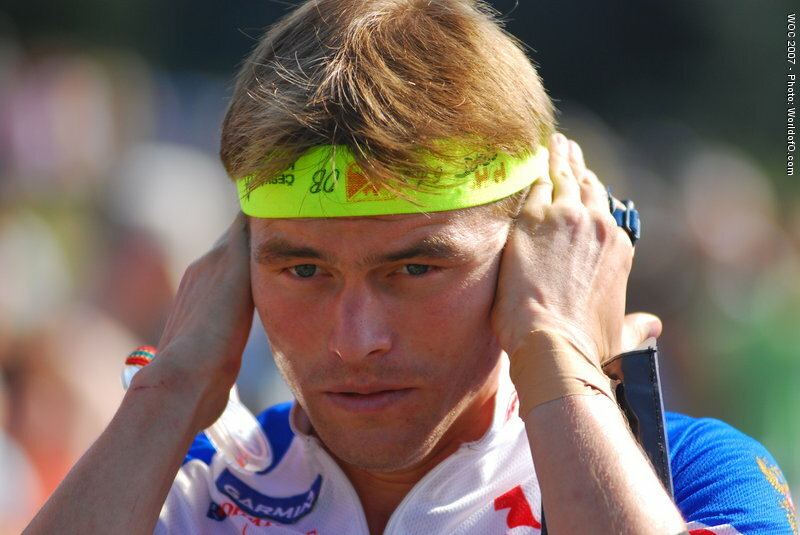 Finished his studies in communication (traffic) in 2004 and was since a professional sportsman. 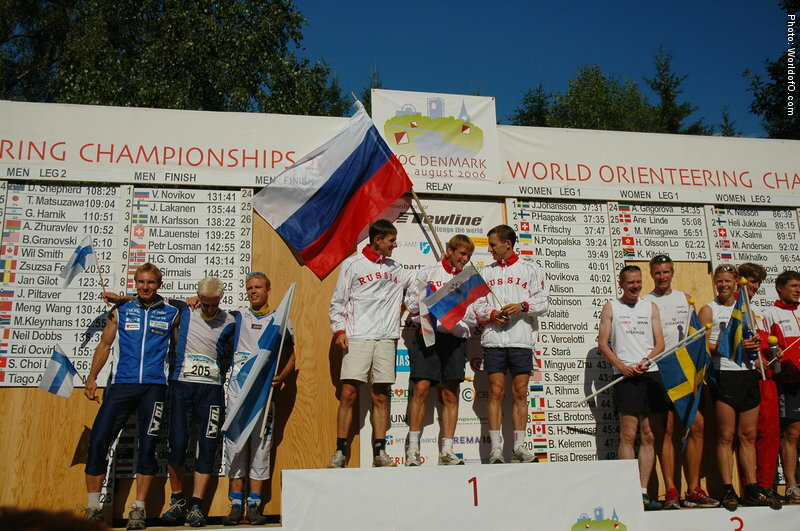 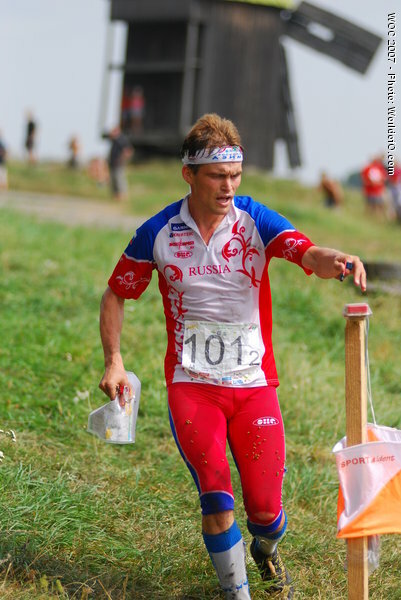 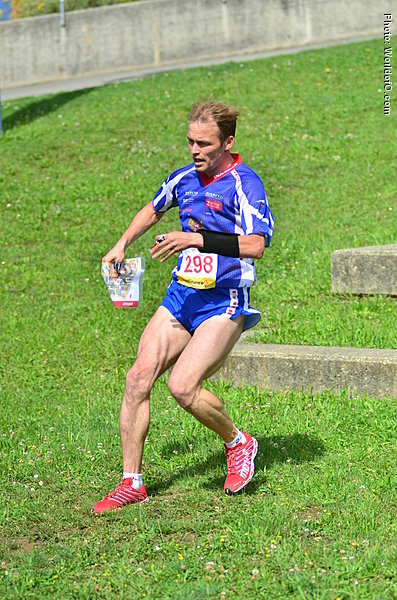 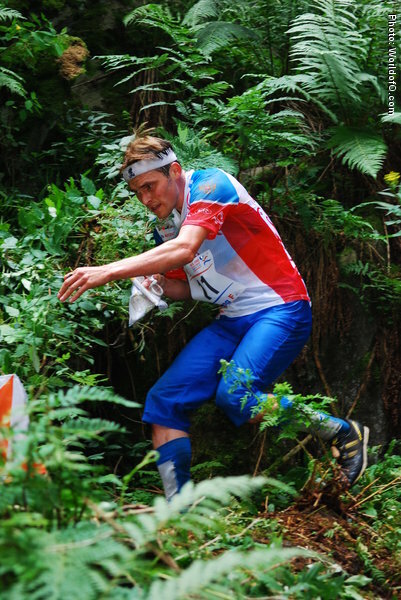 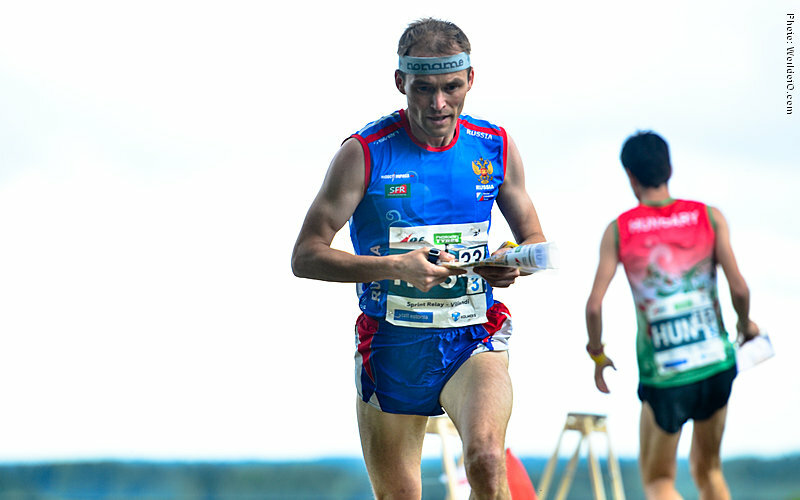 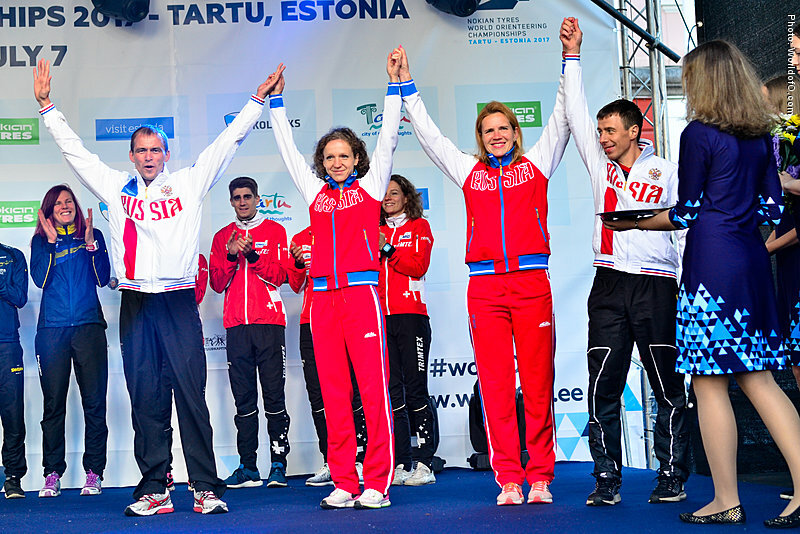 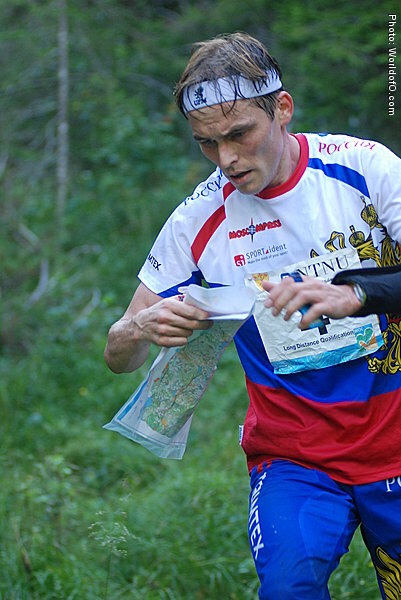 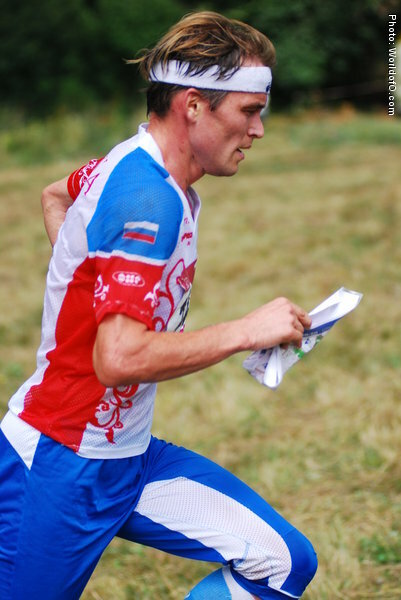 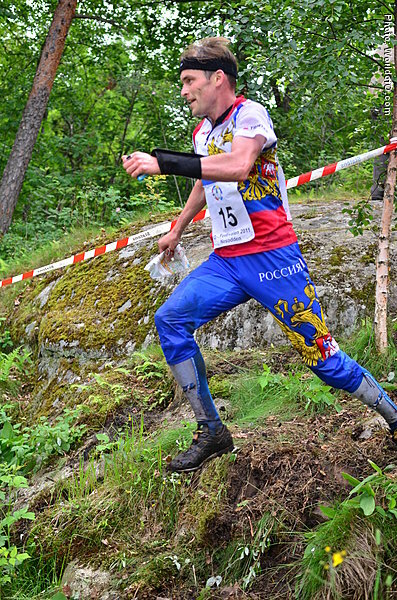 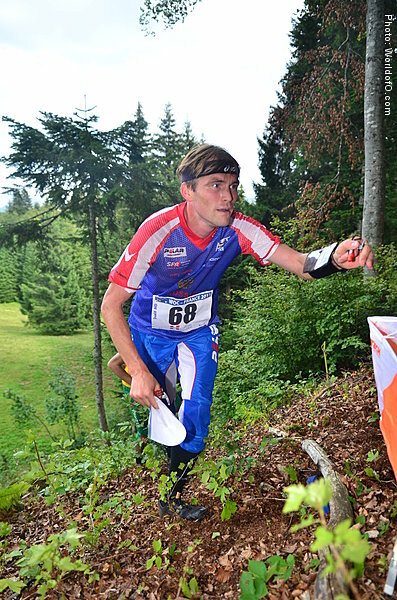 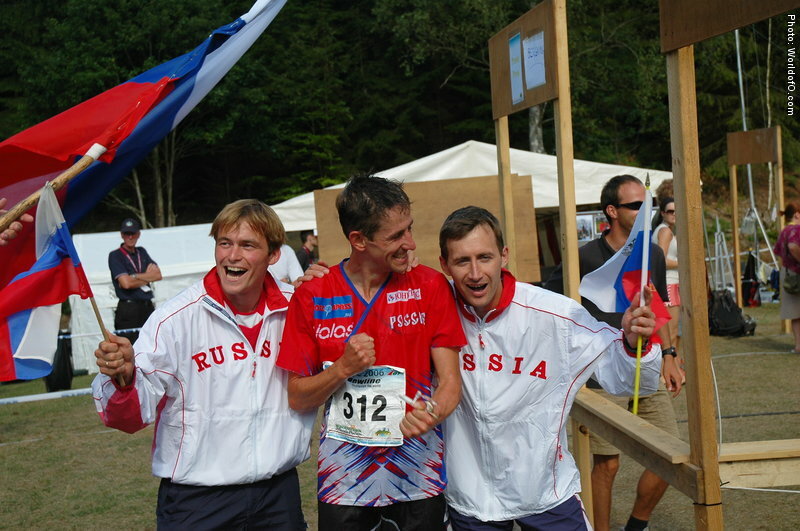 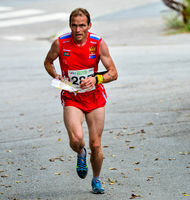 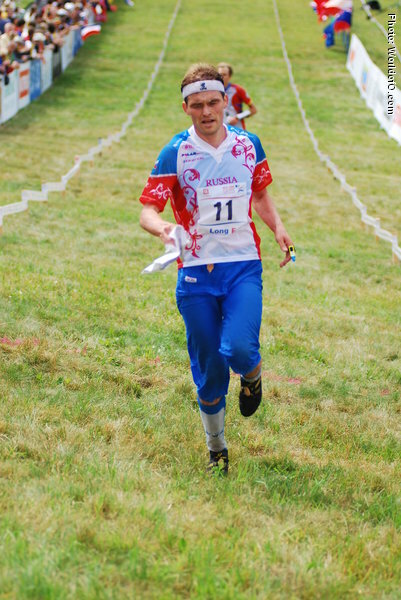 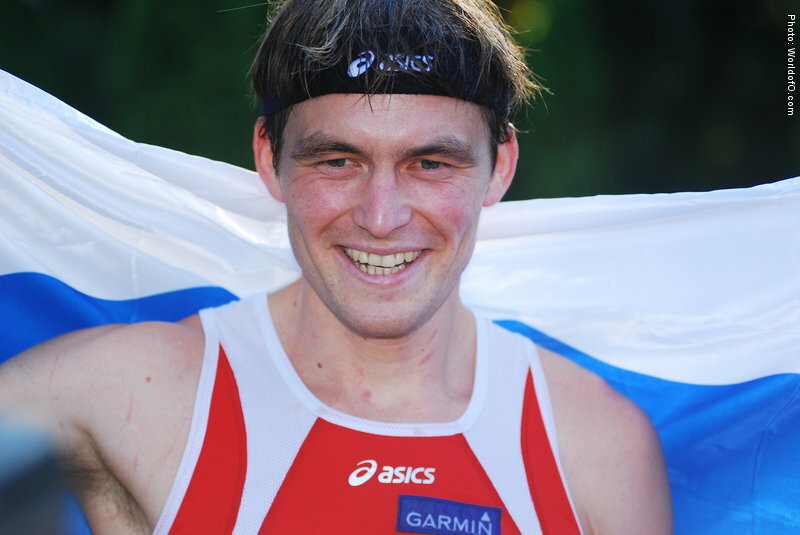 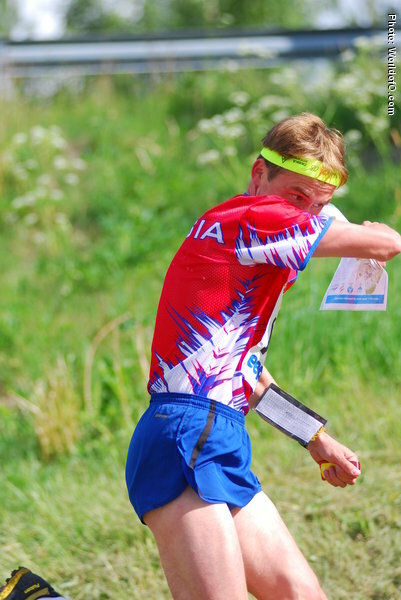 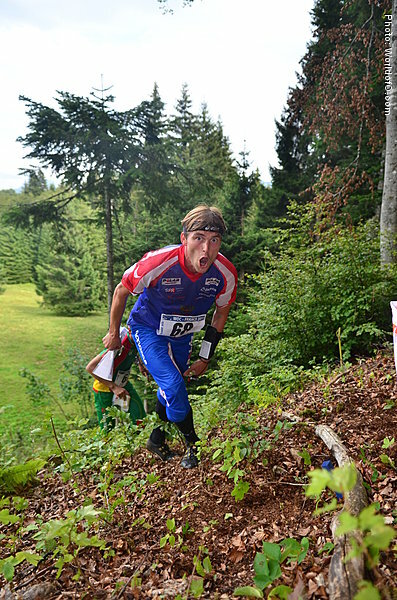 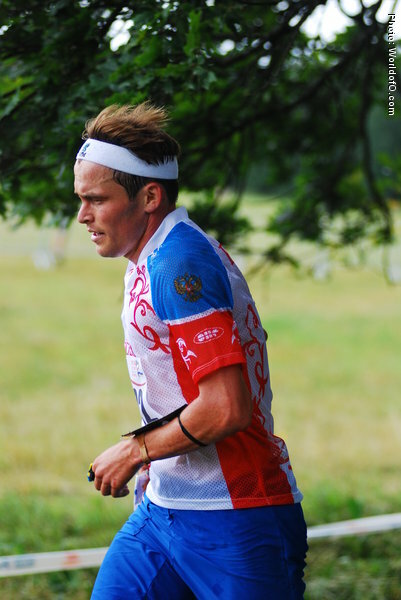 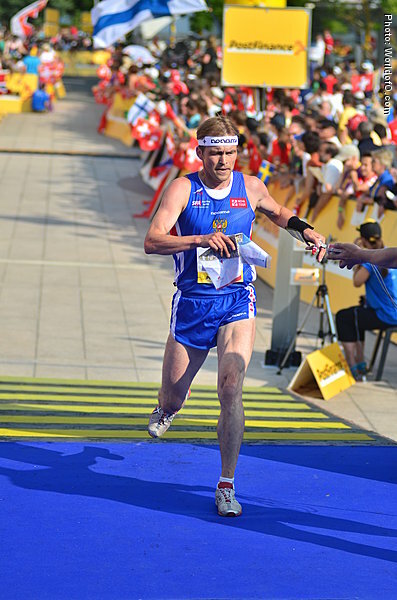 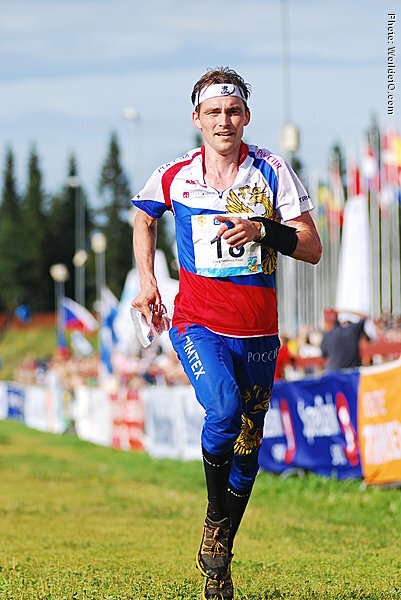 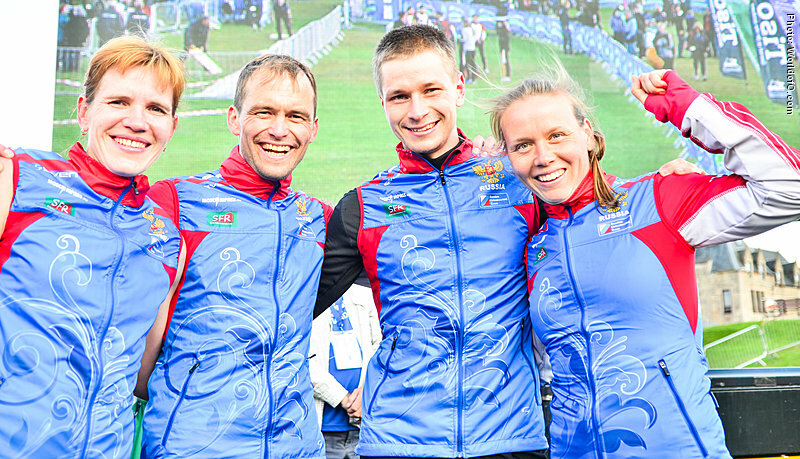 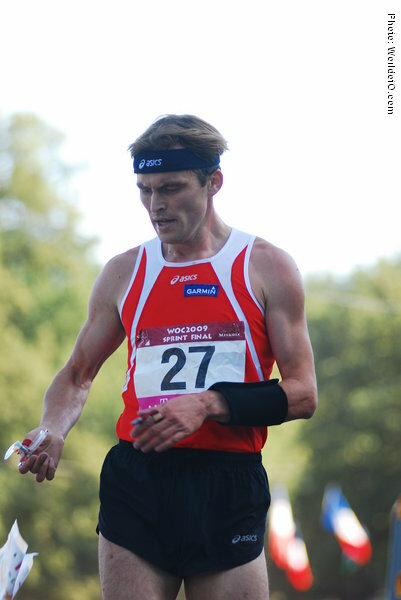 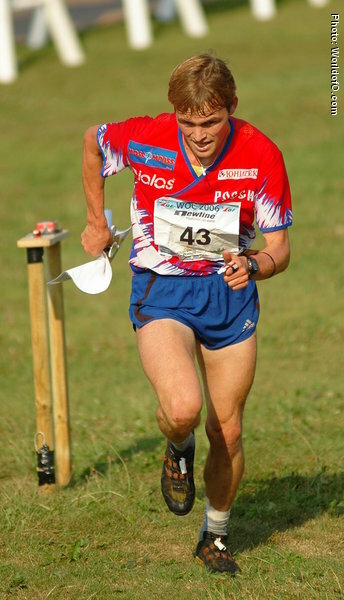 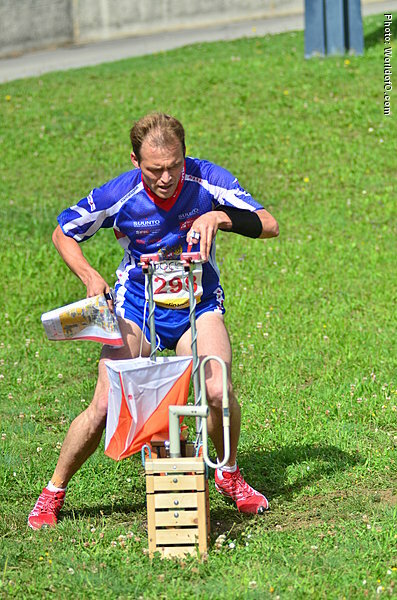 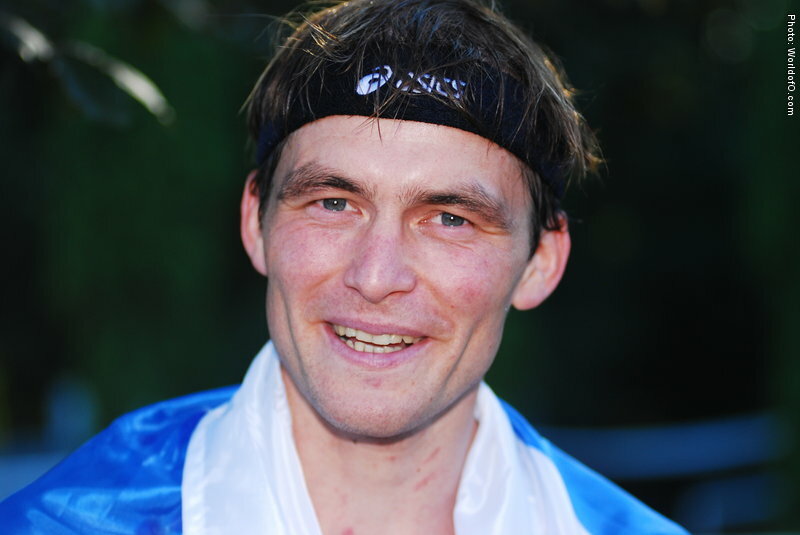 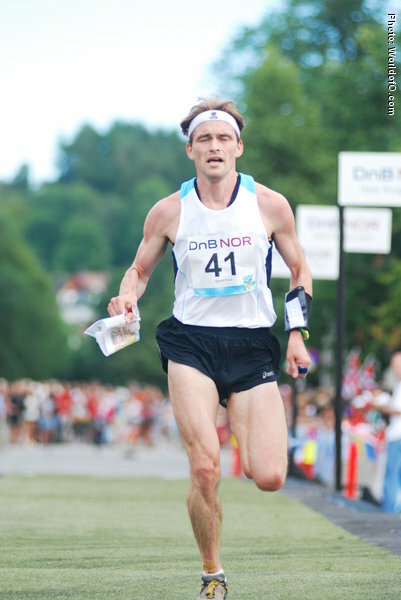 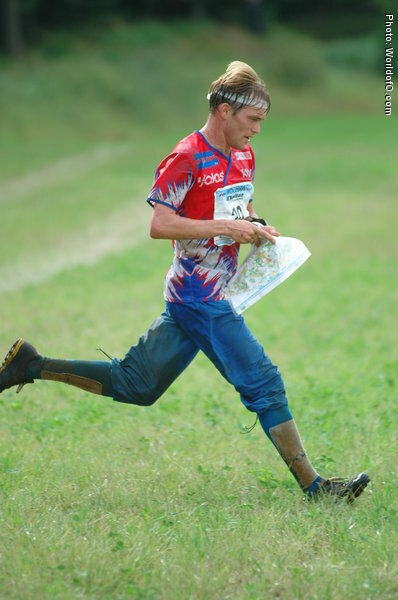 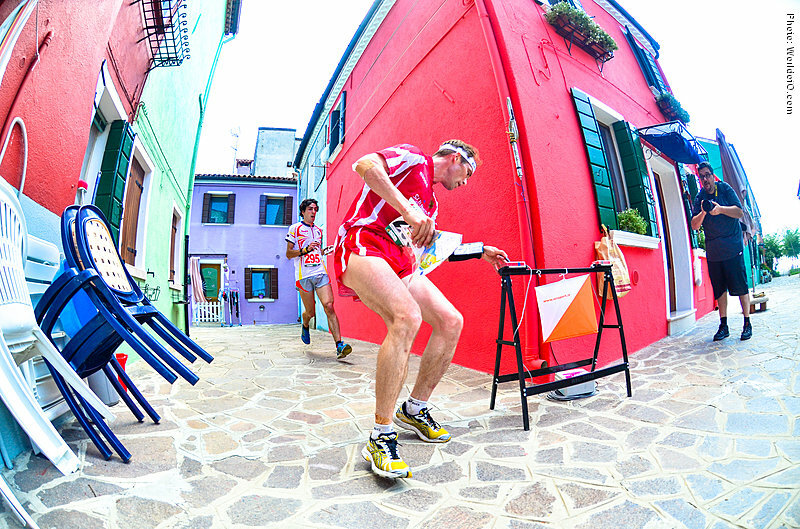 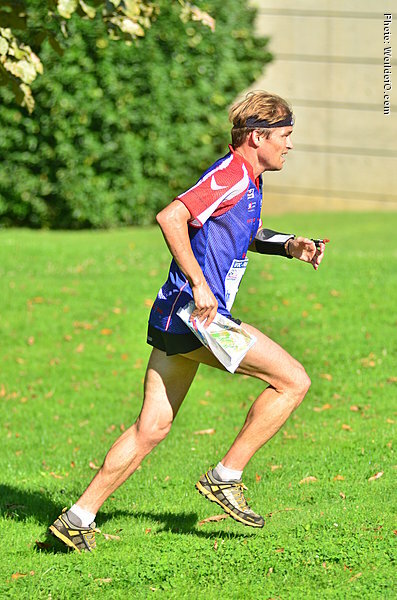 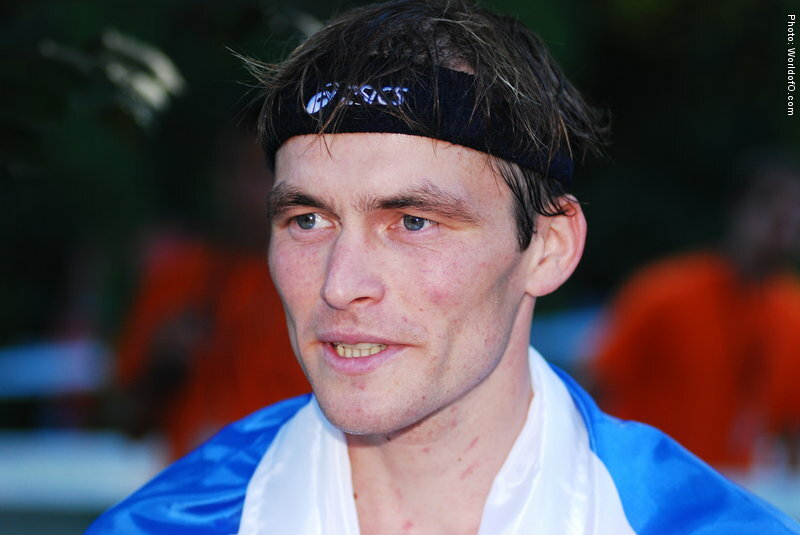 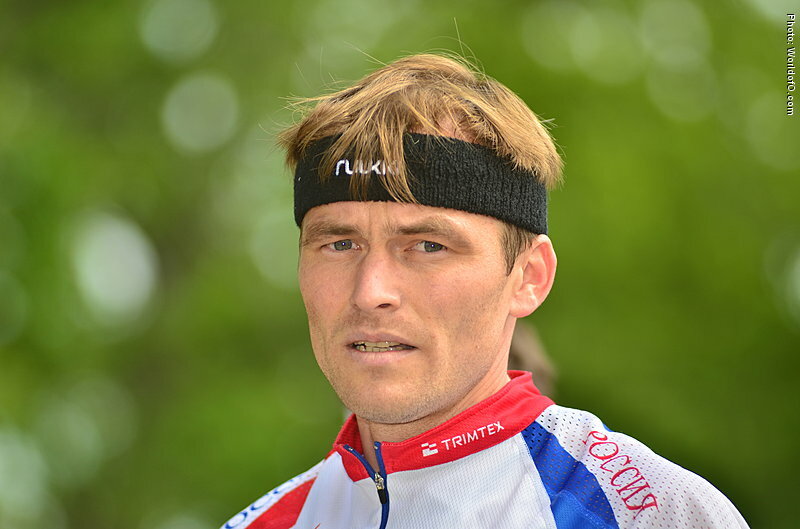 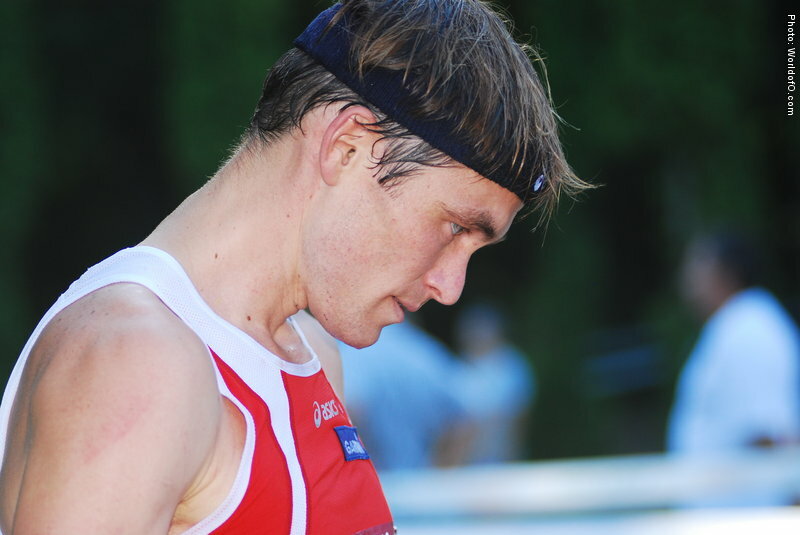 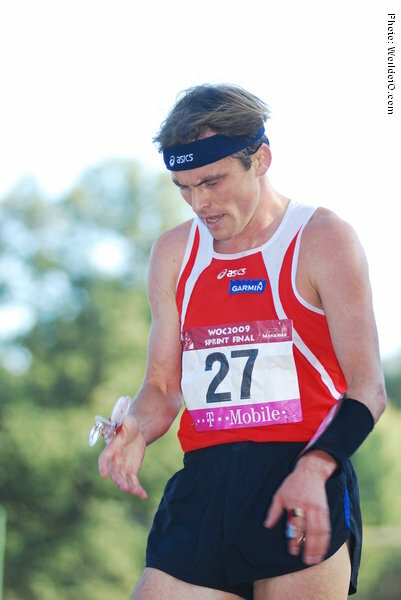 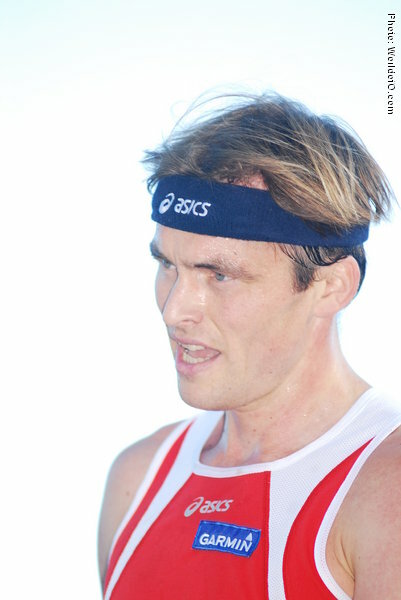 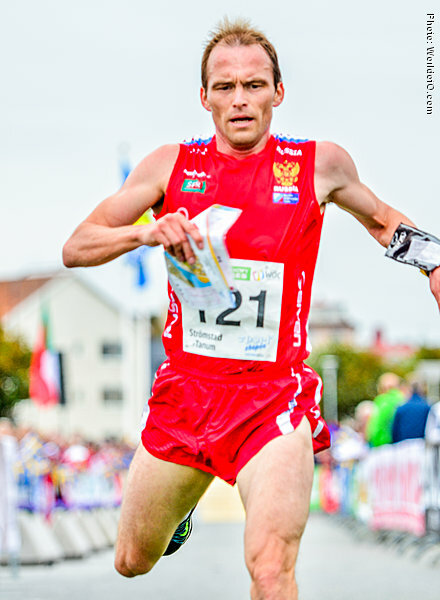 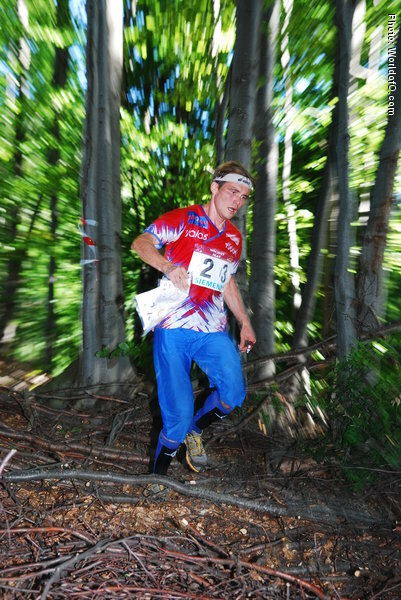 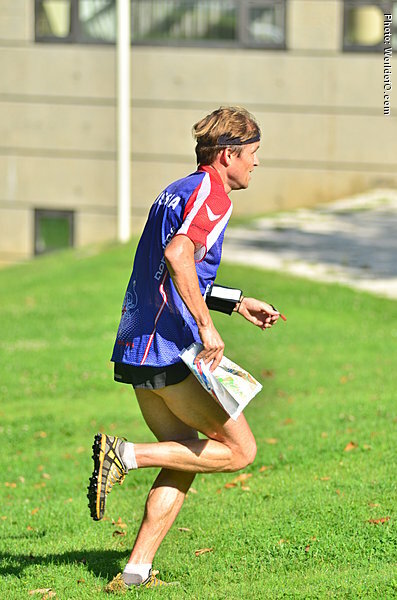 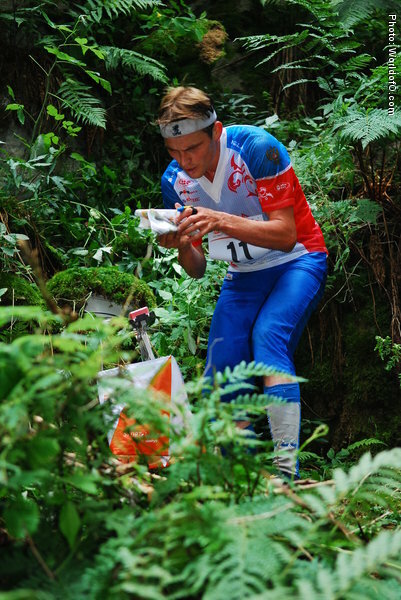 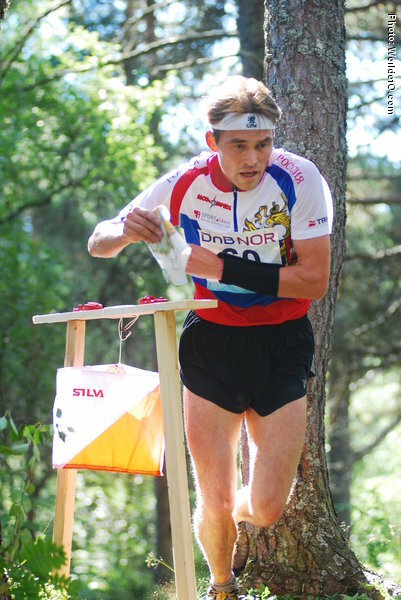 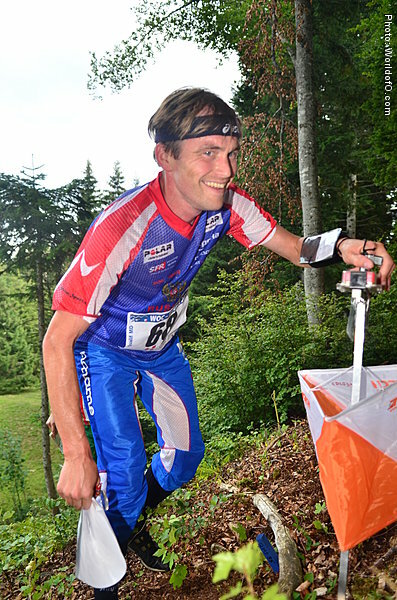 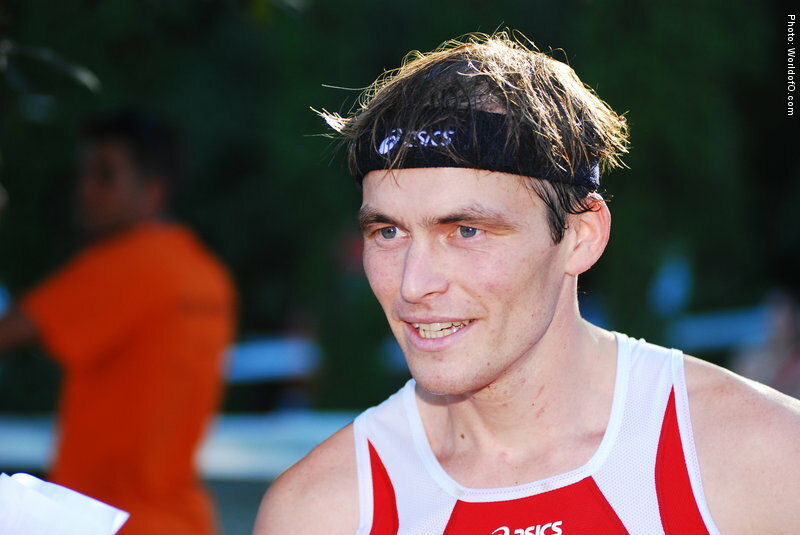 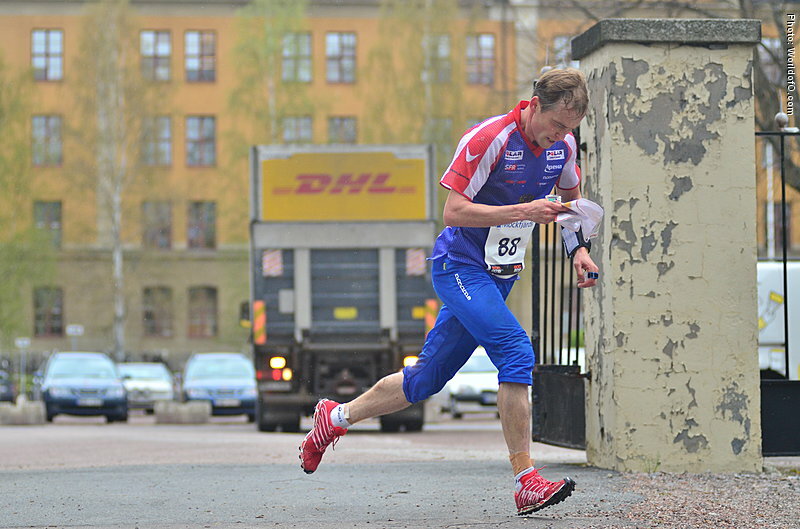 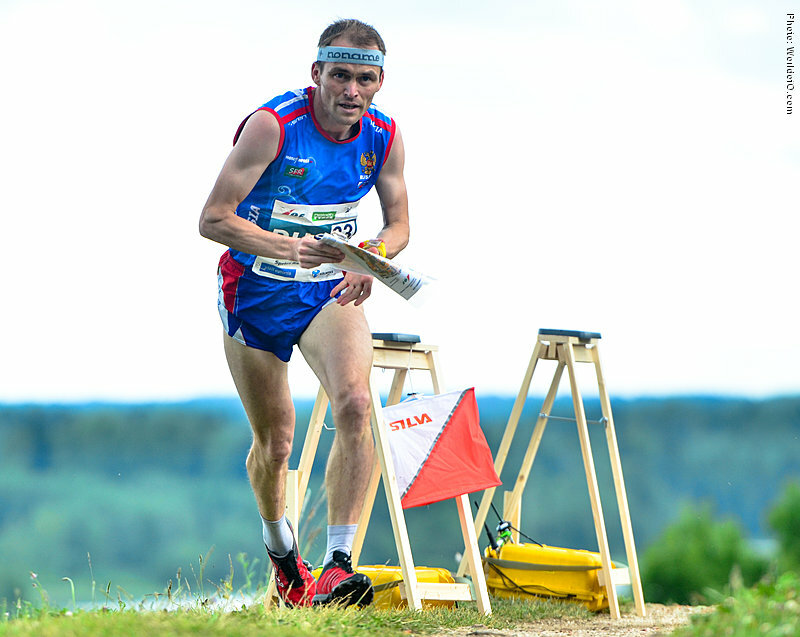 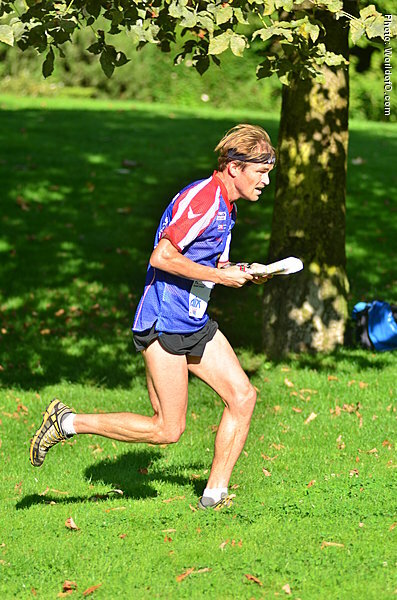 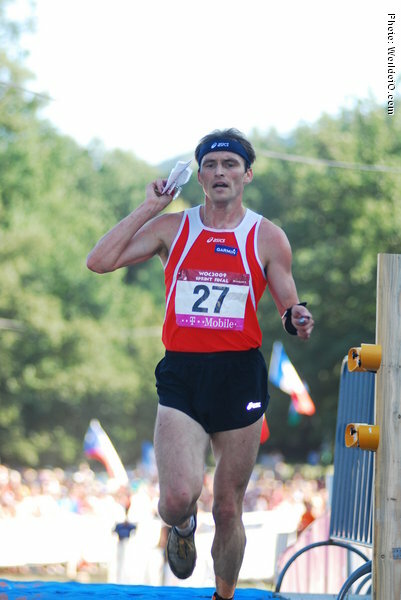 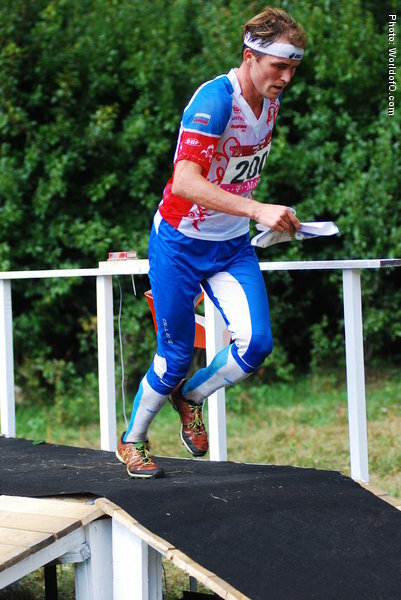 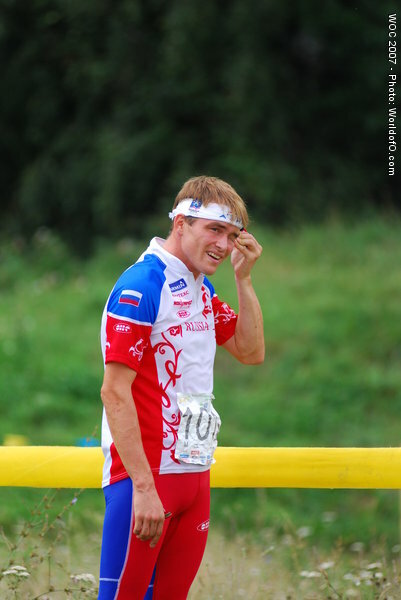 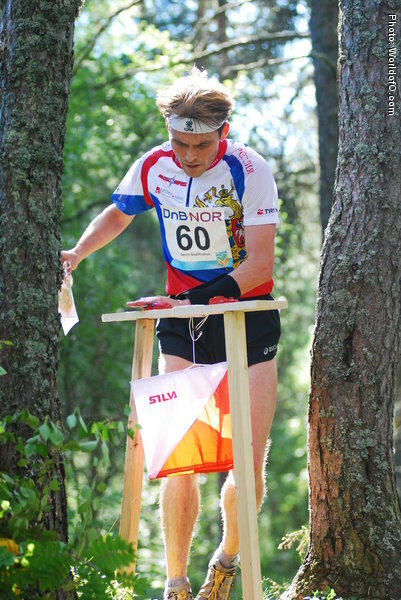 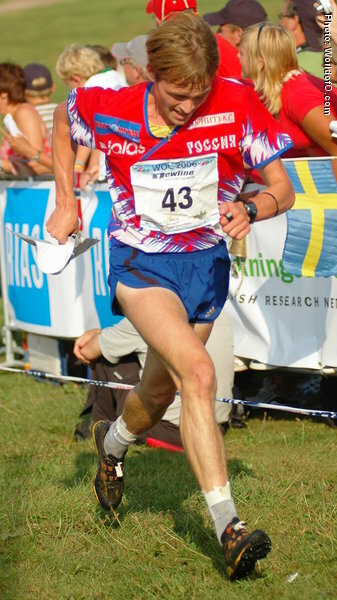 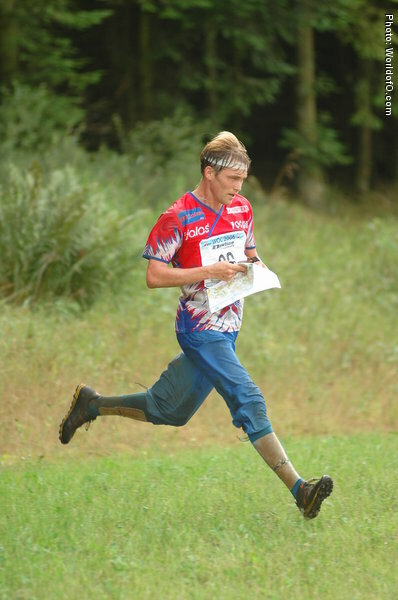 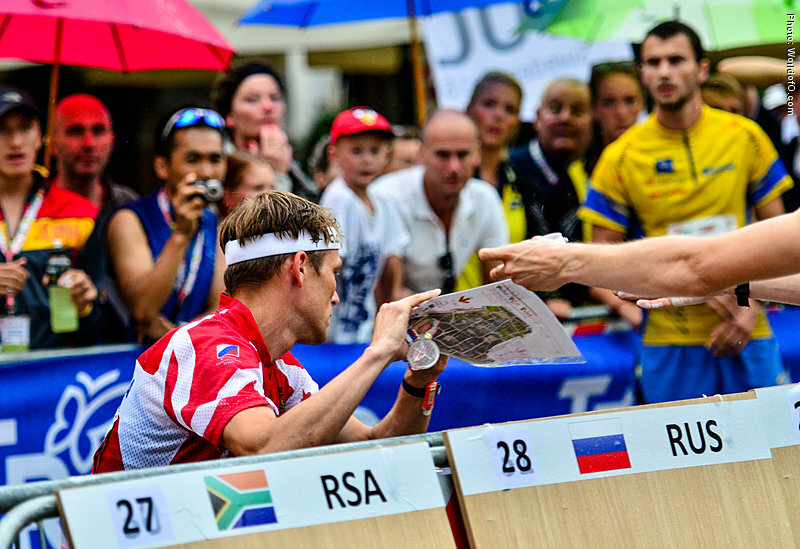 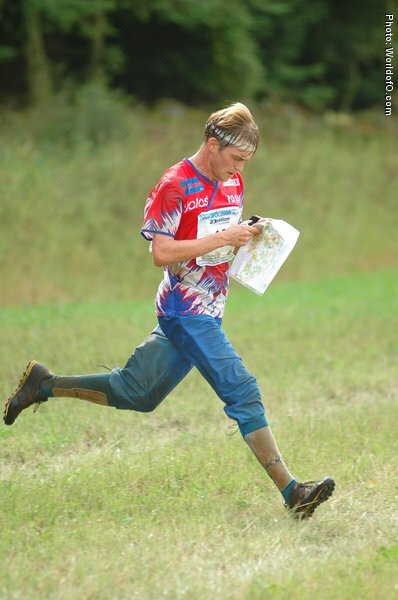 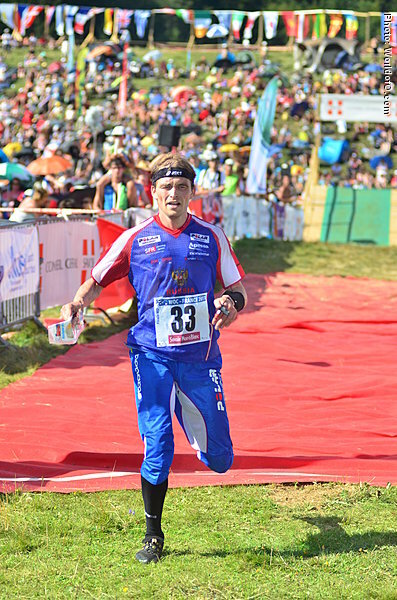 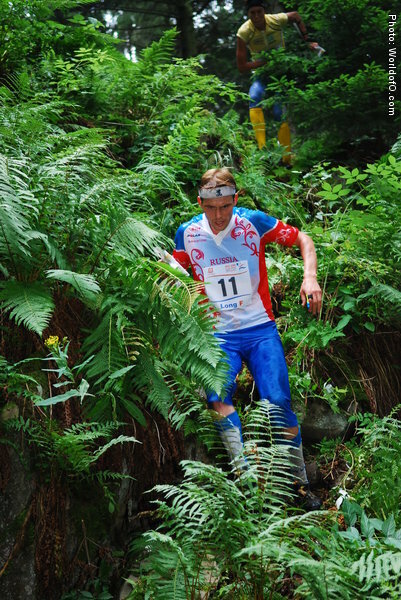 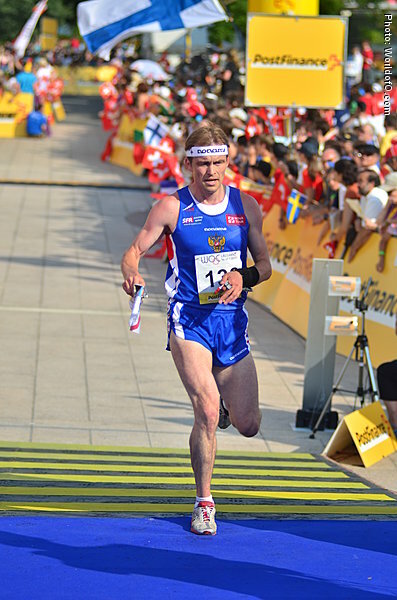 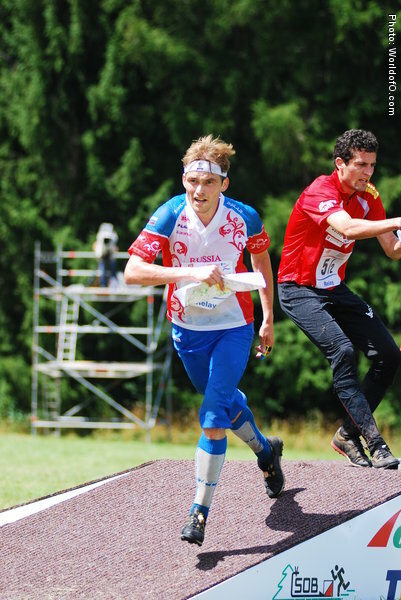 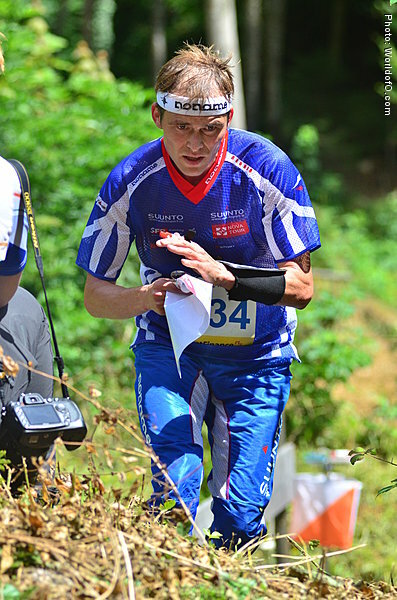 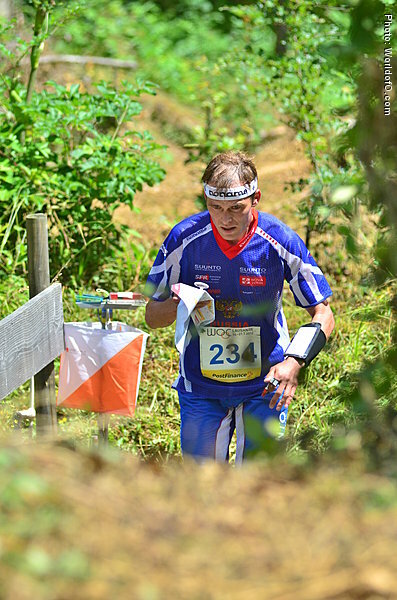 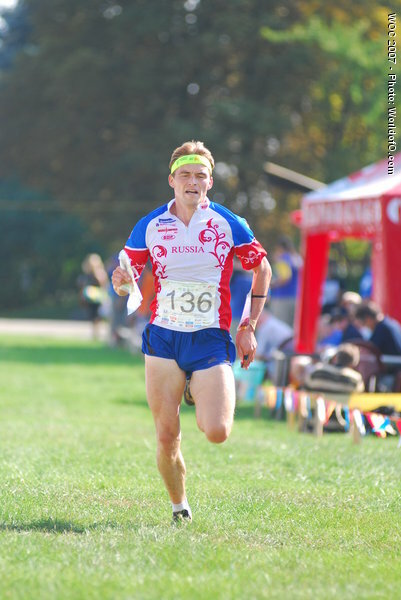 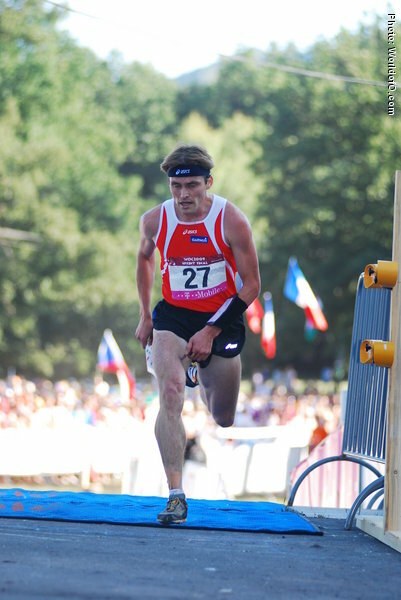 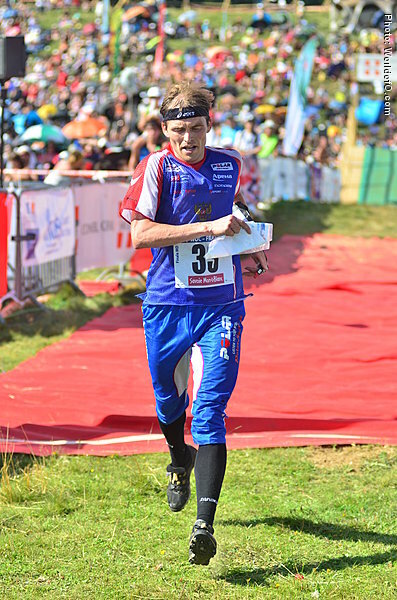 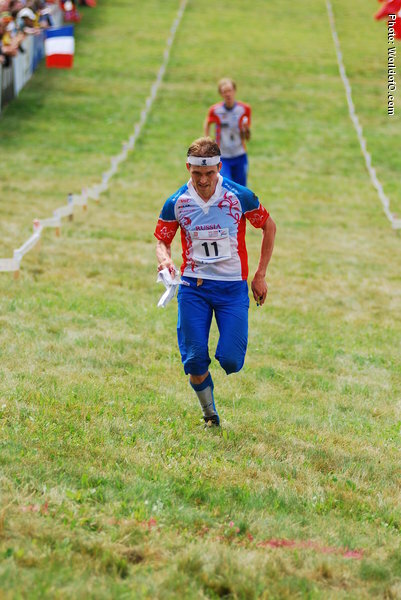 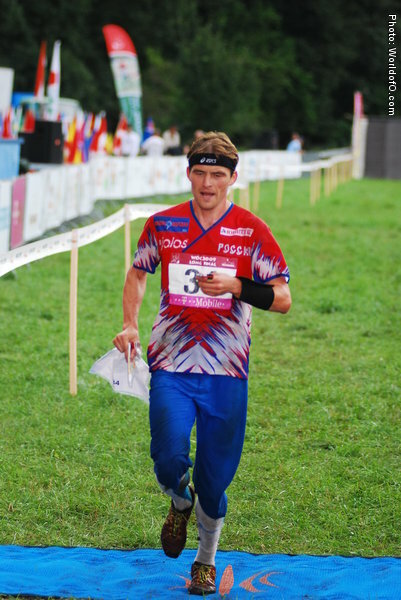 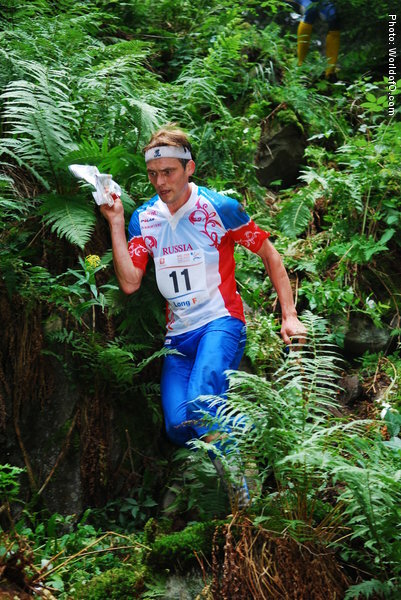 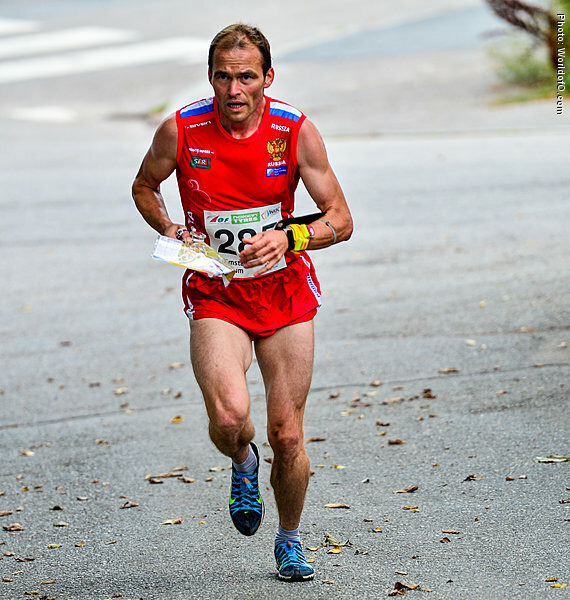 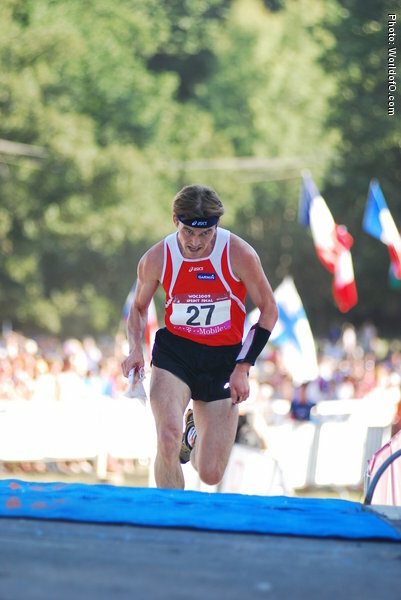 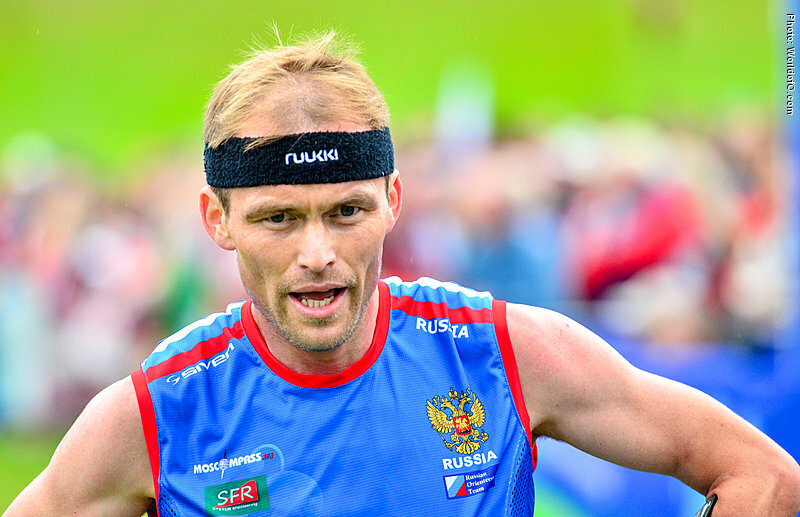 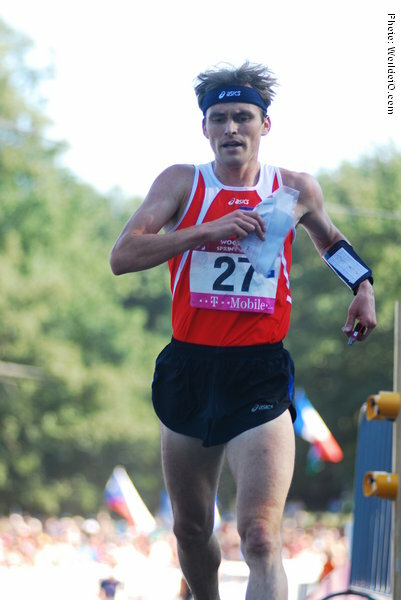 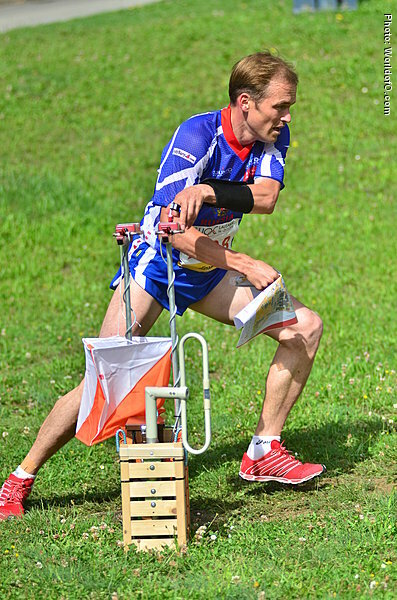 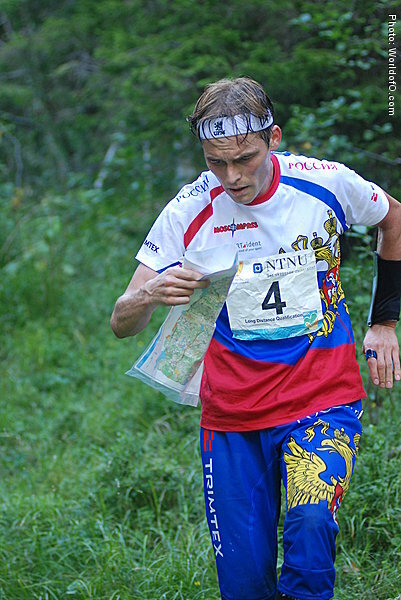 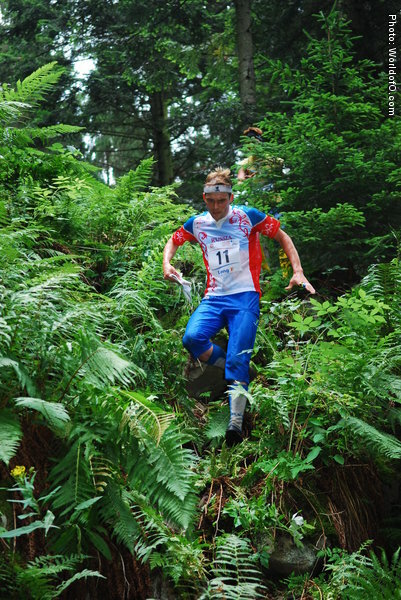 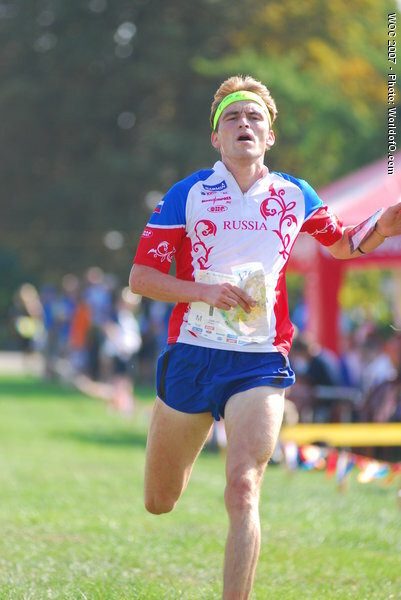 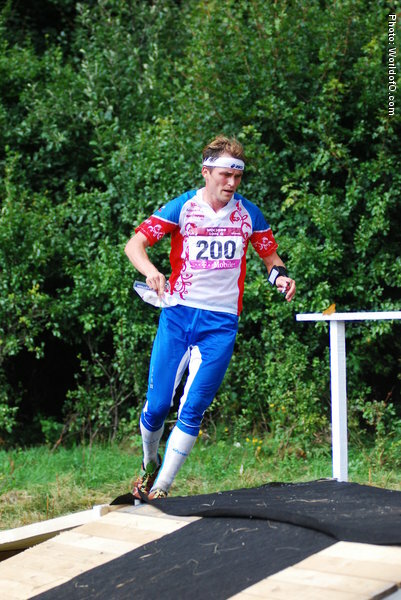 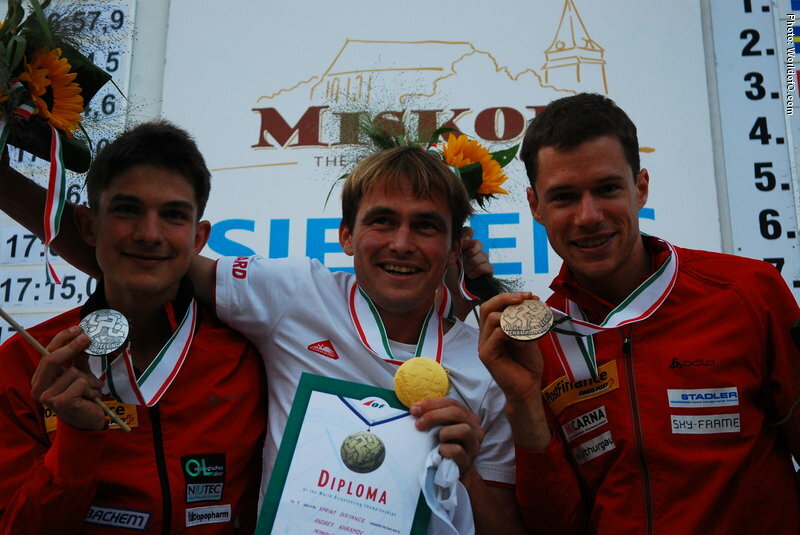 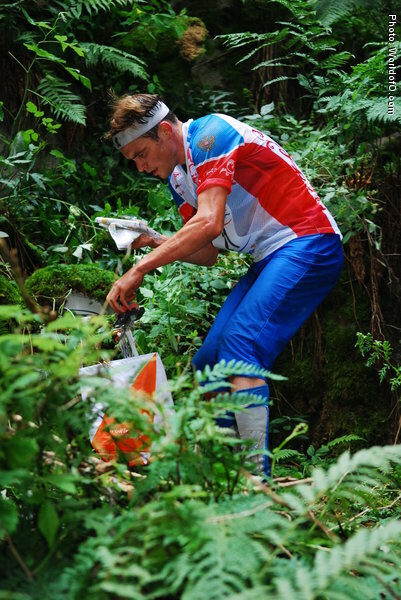 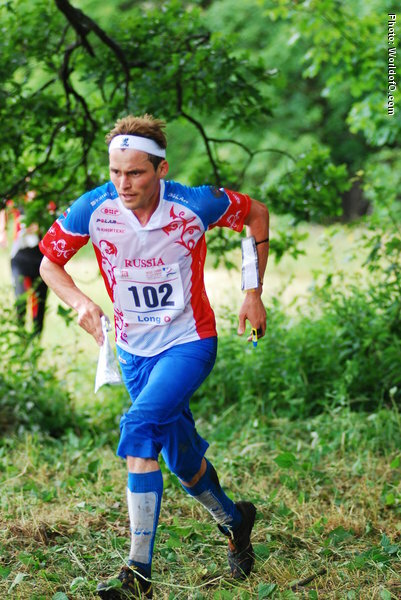 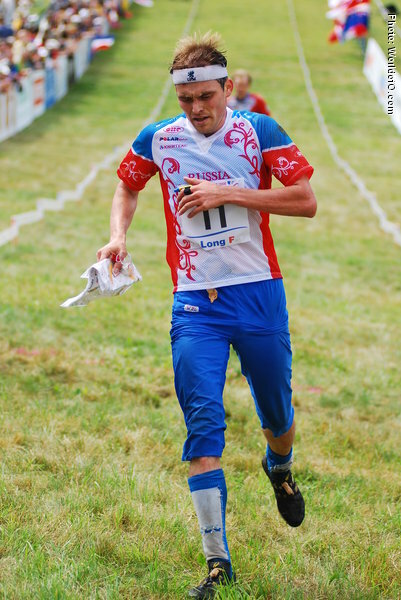 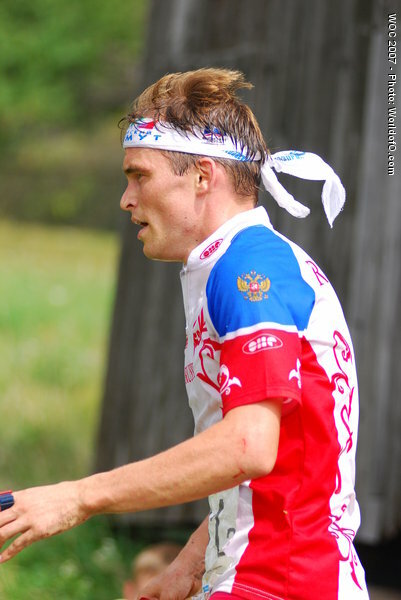 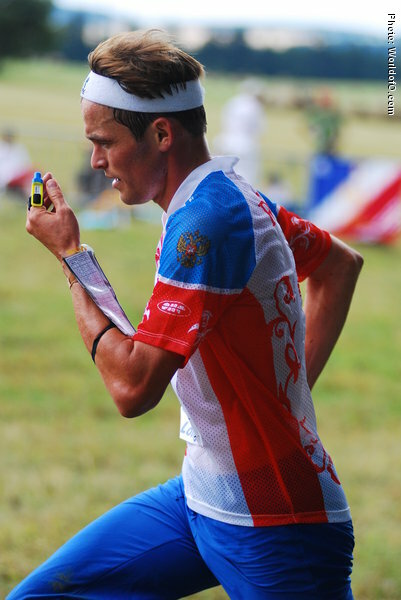 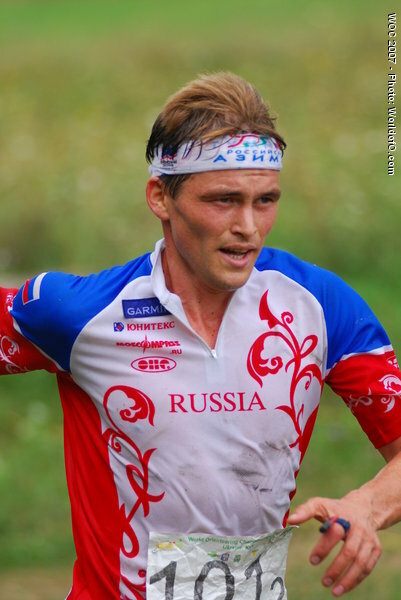 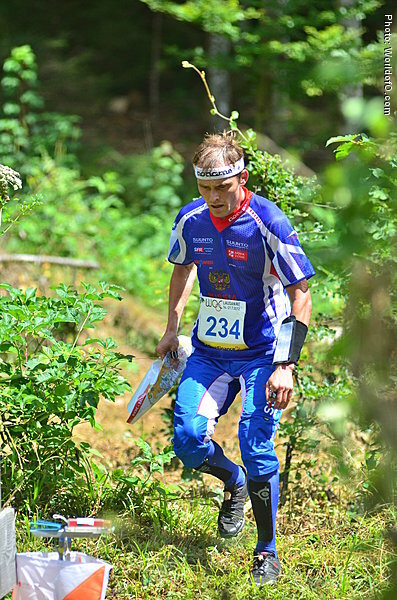 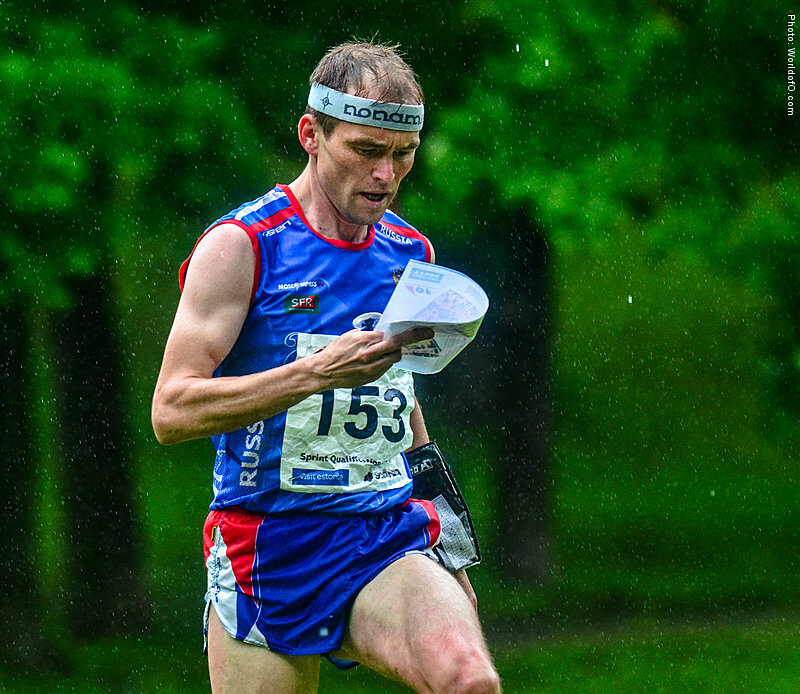 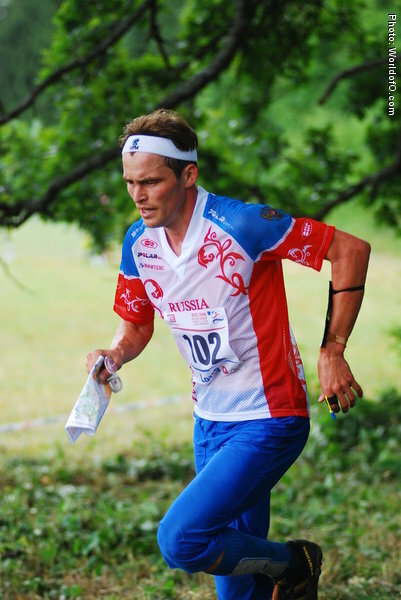 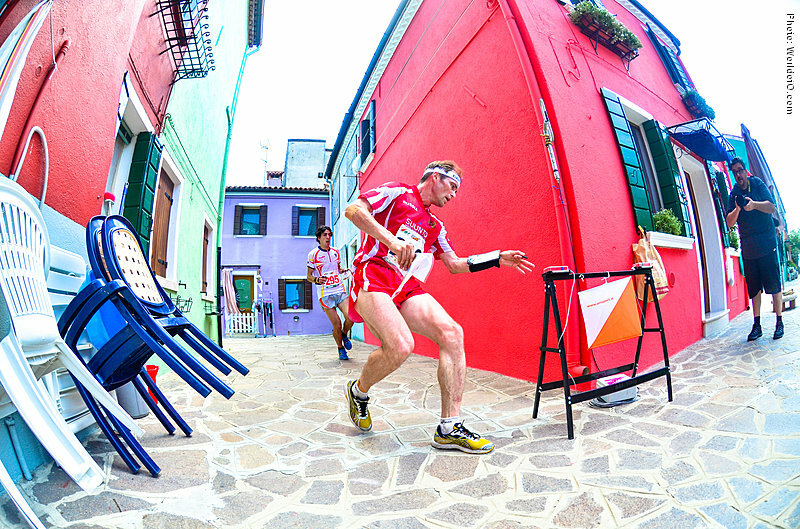 His gold medal in Japan 2005 was Russias first ever in senior foot-orienteering. 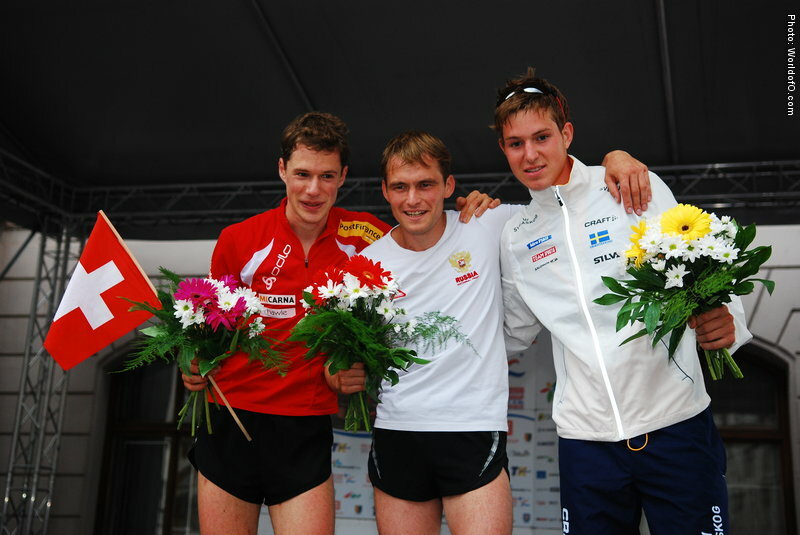 Won the relay for Russia in 2006 and 2007. 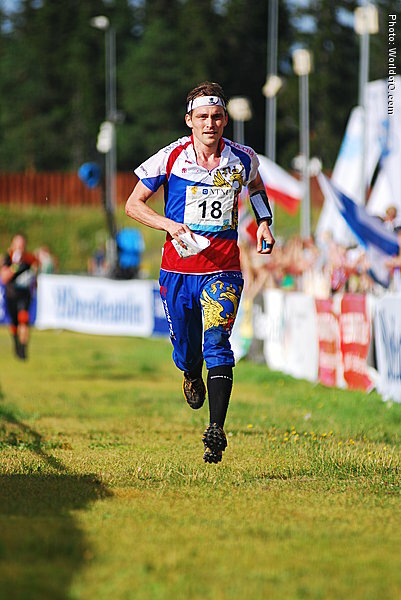 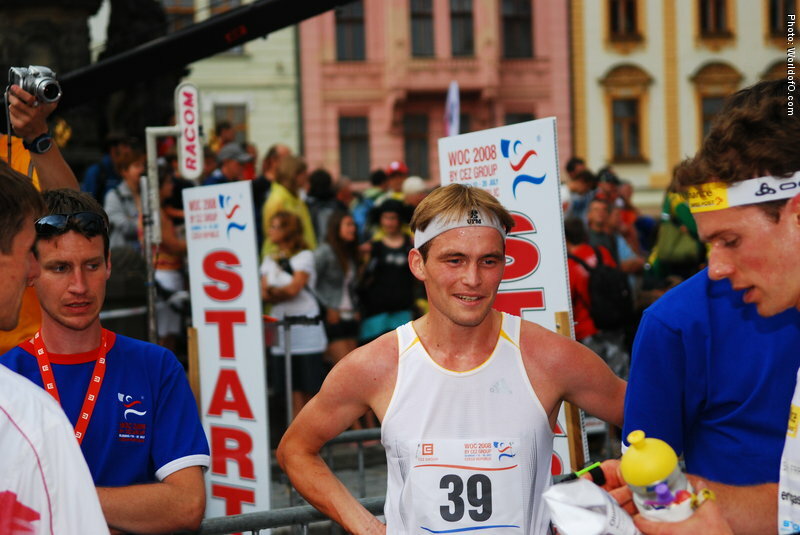 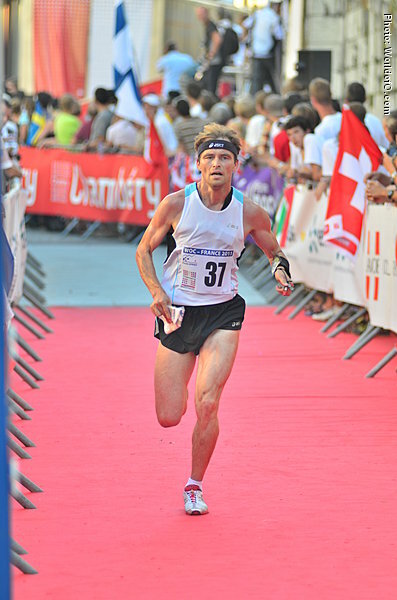 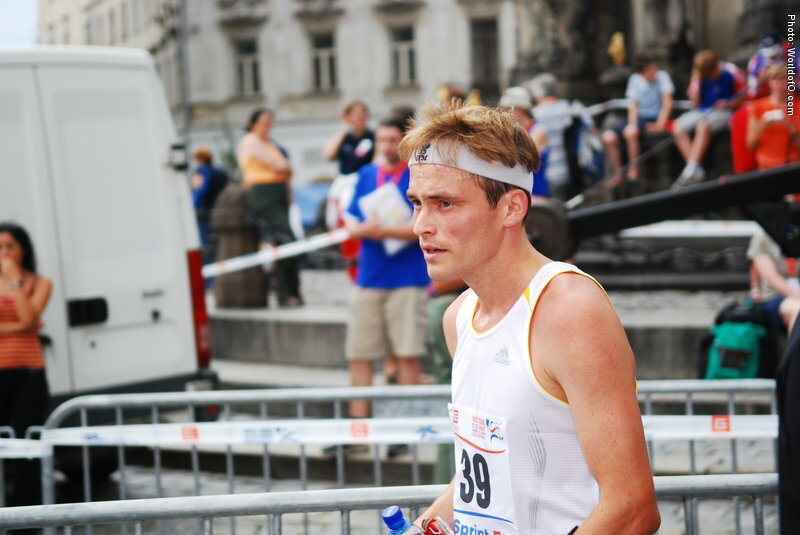 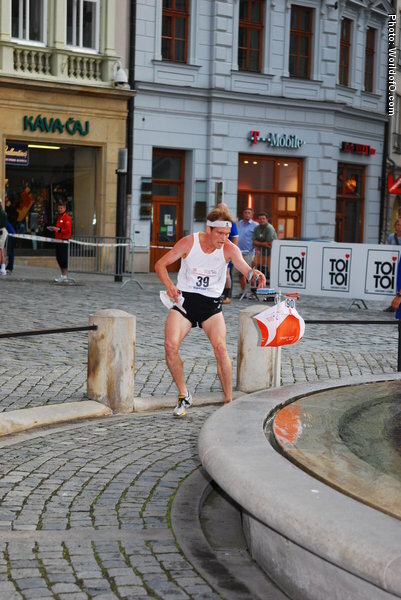 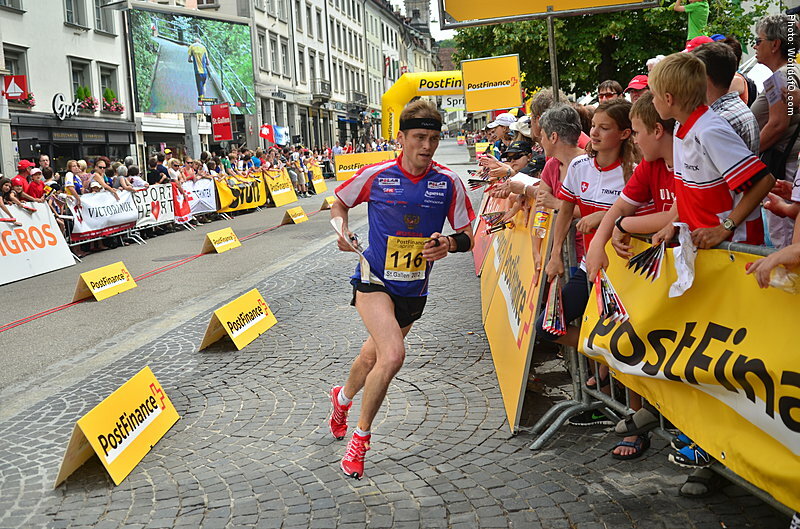 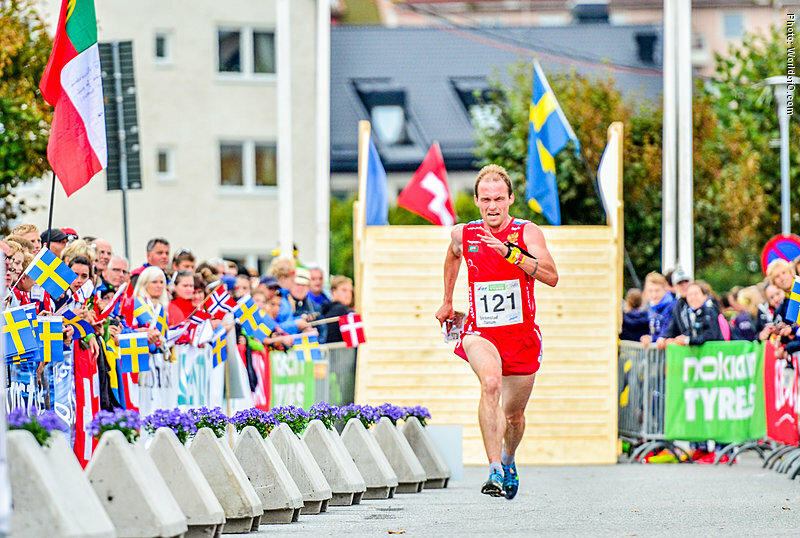 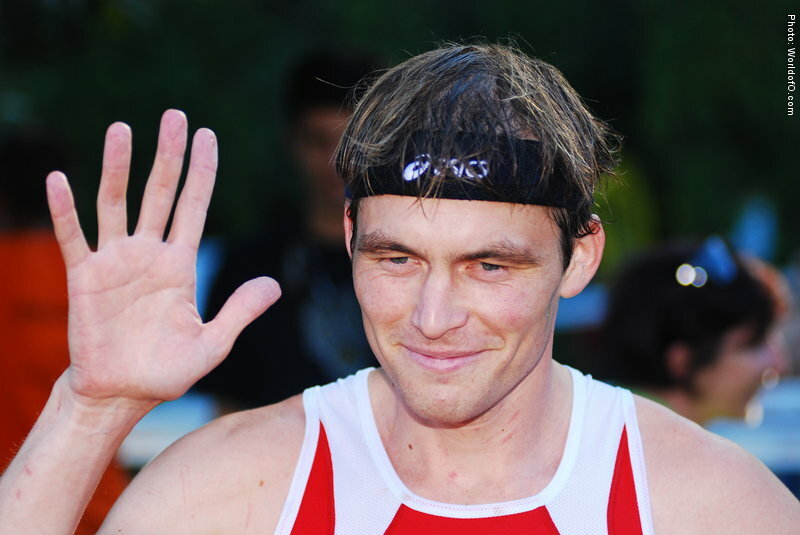 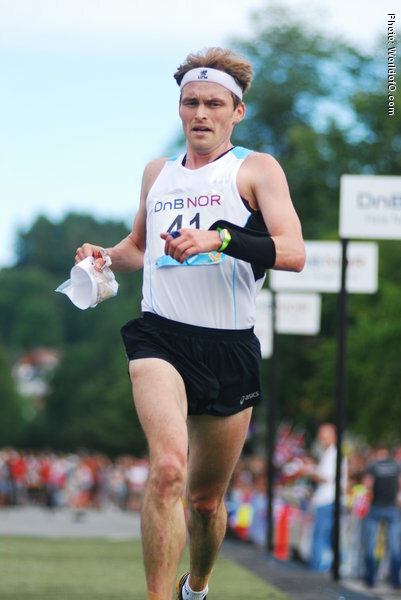 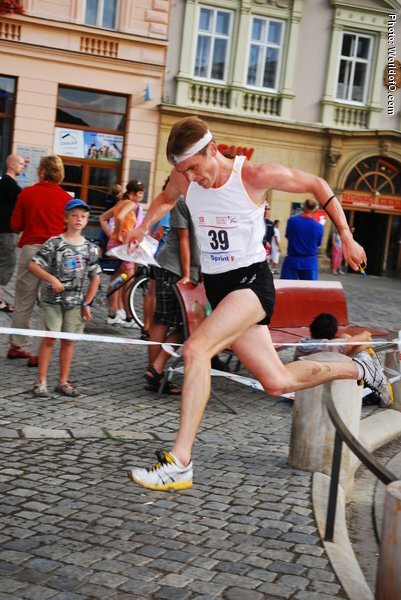 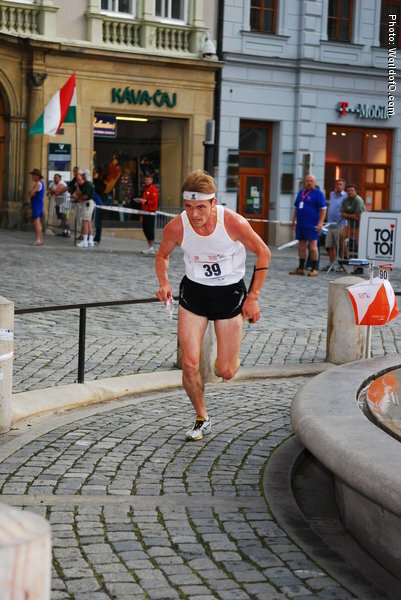 Started the WOC 2008 with a sprint gold - his 4th WOC-gold, and took another WOC gold medal at the sprint in 2009 in Hungary. 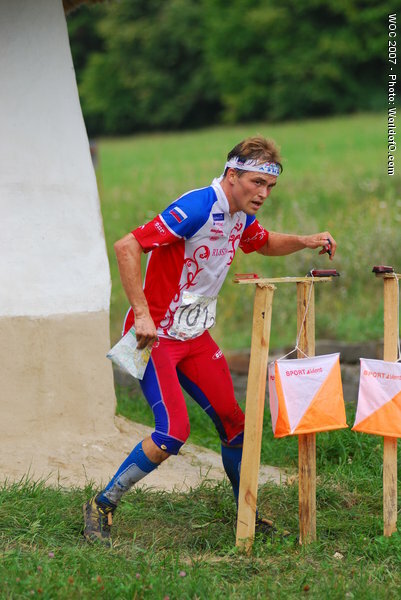 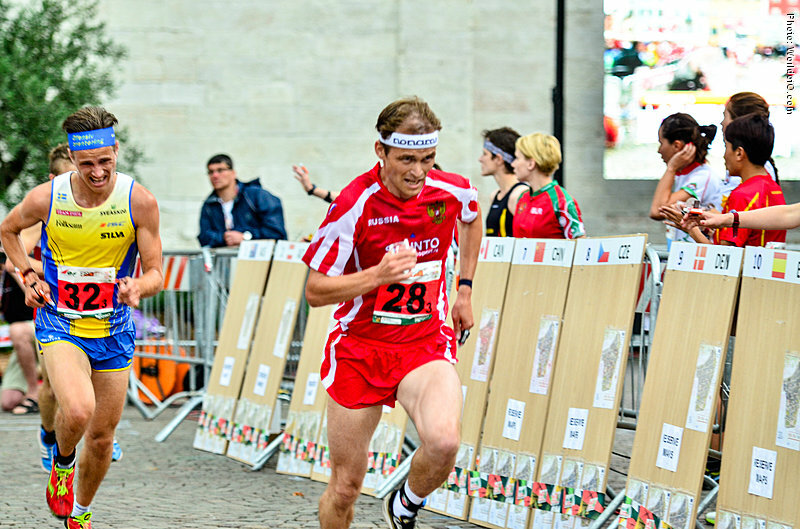 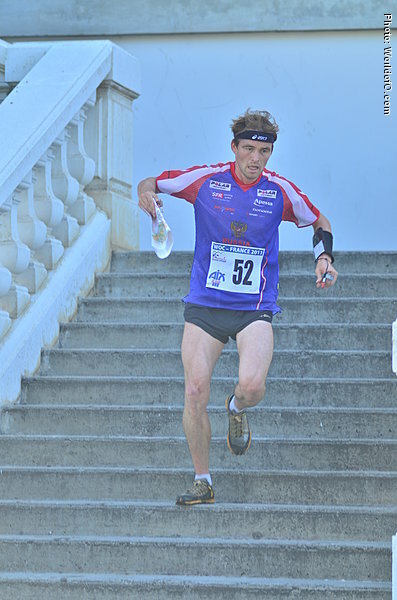 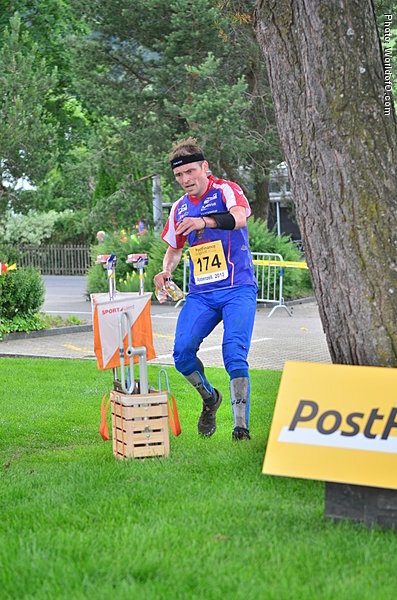 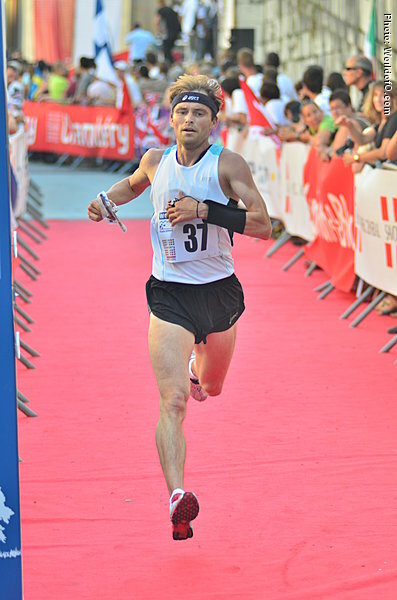 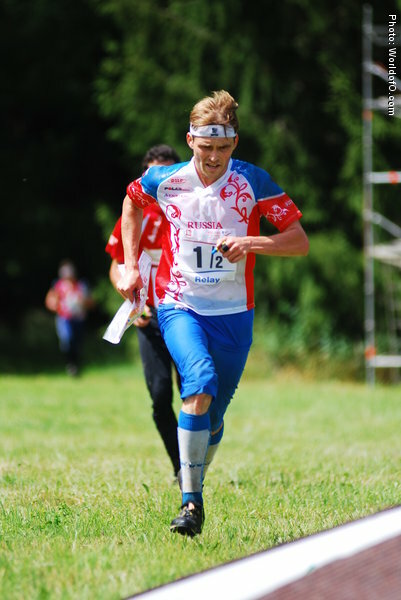 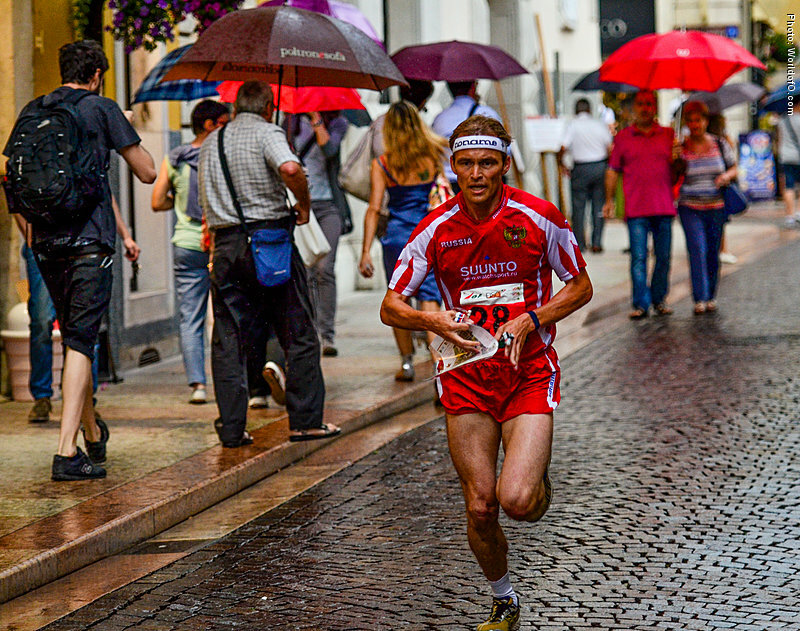 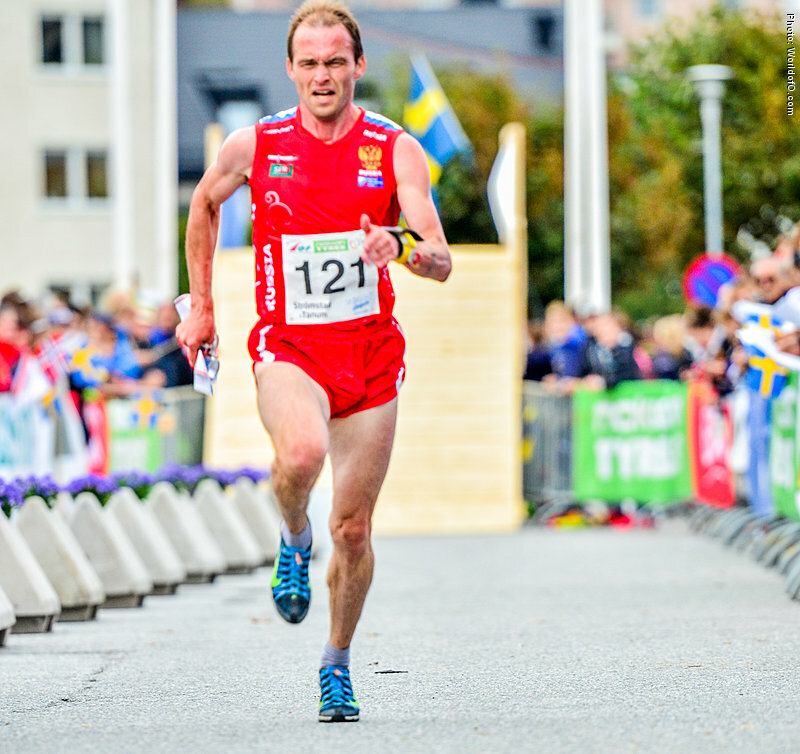 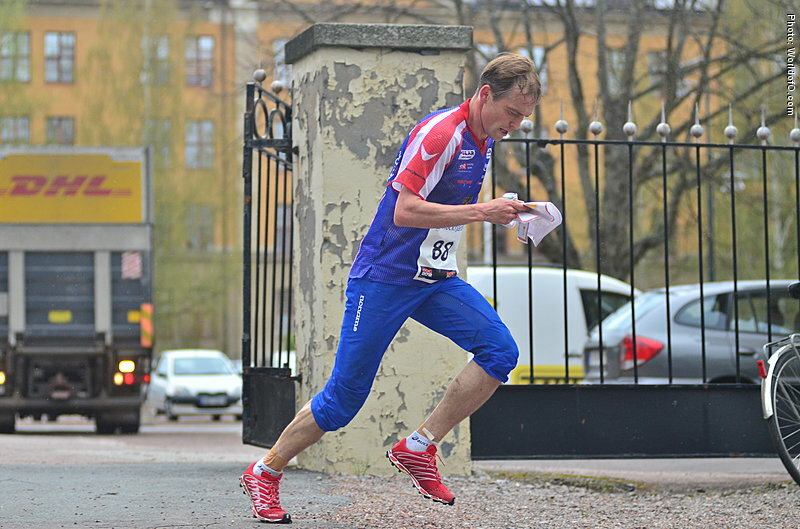 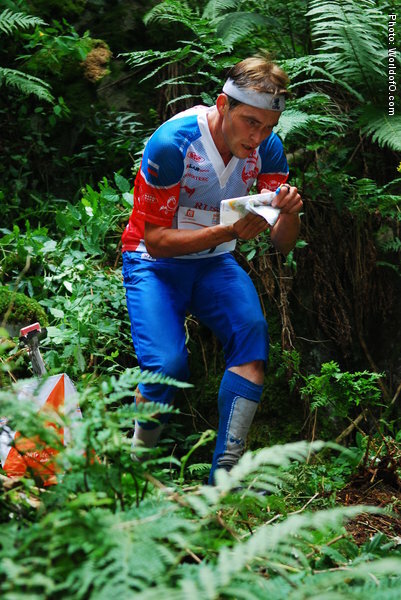 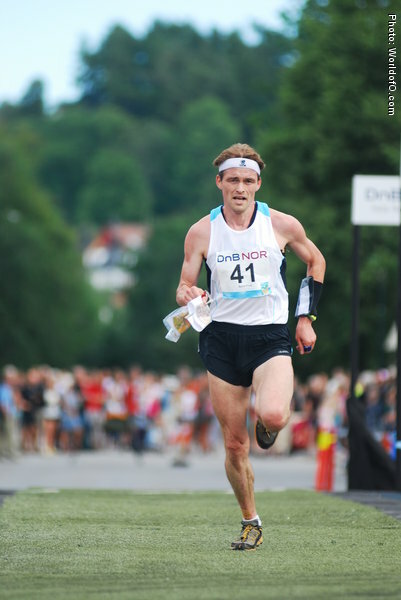 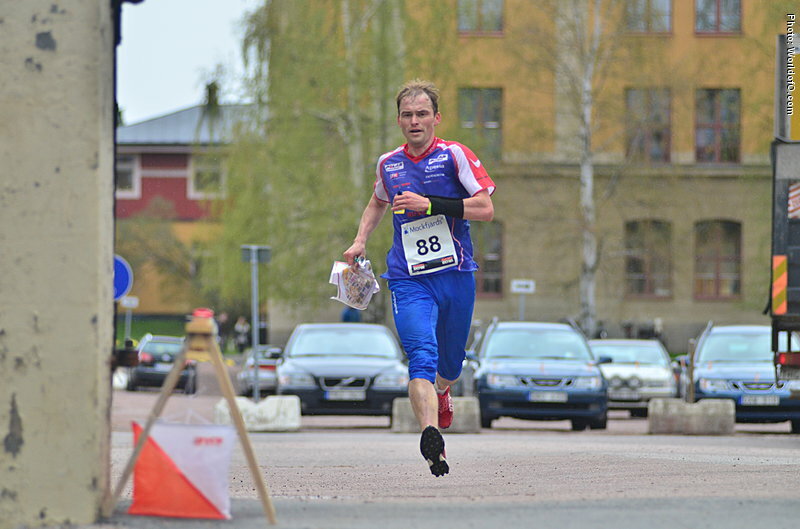 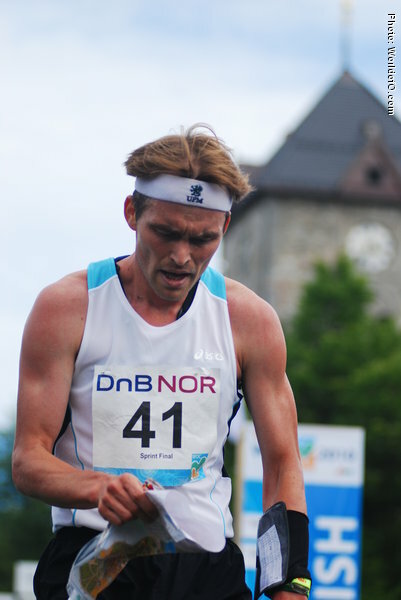 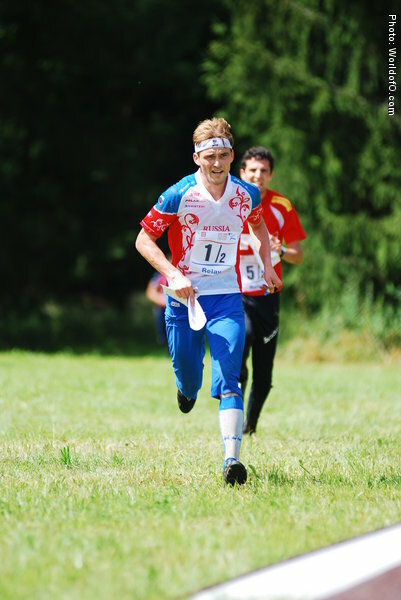 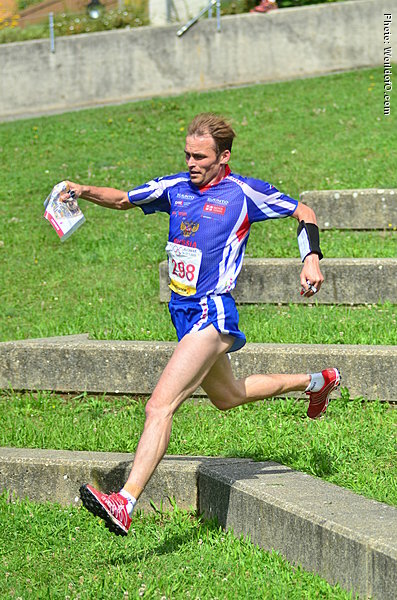 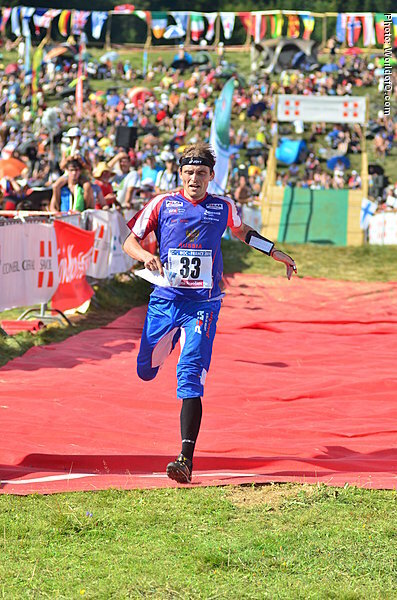 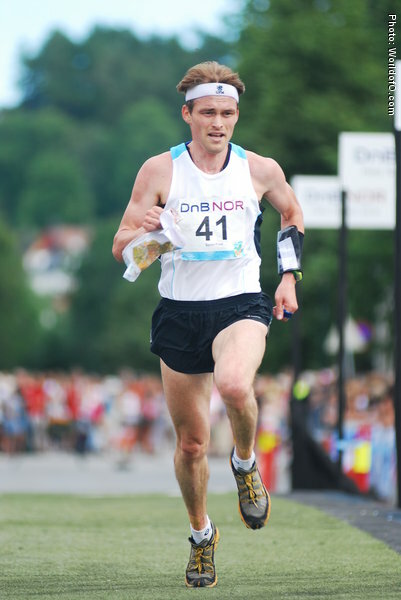 Nominated for Orienteering Achievement of the year 2008 after previously being the man of the tough, long and warm races - this year he proved to be the World's best sprinter - taking the Gold Medal at the sprint distance at the World Orienteering Champs in Olomouc, Czech Republic. 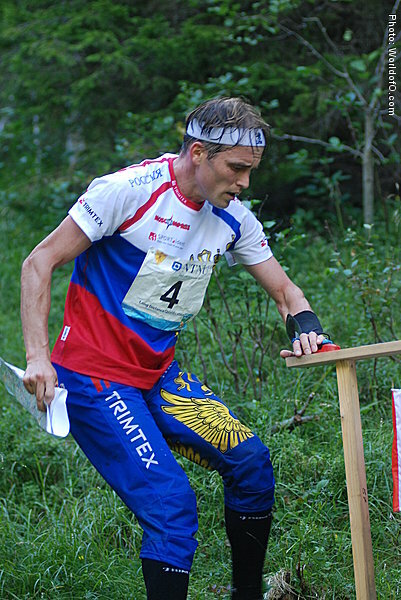 Andrei Hramov (17 times) Andrey Khramov (179 times) .